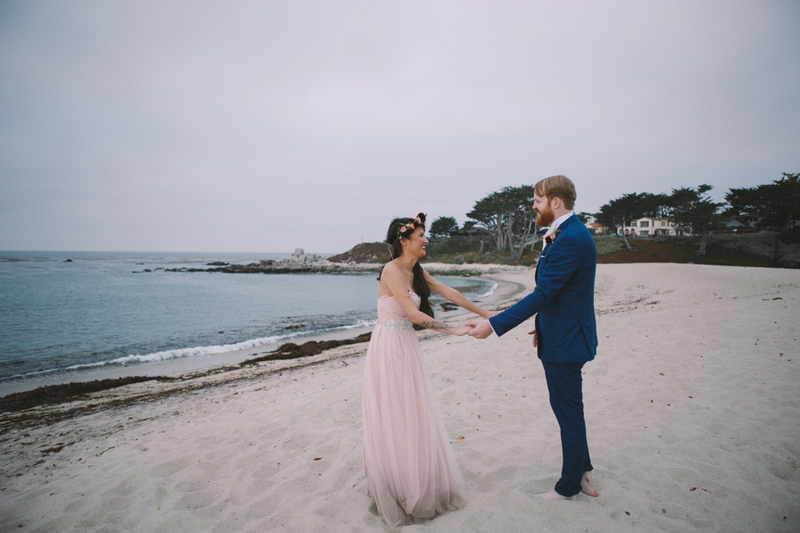 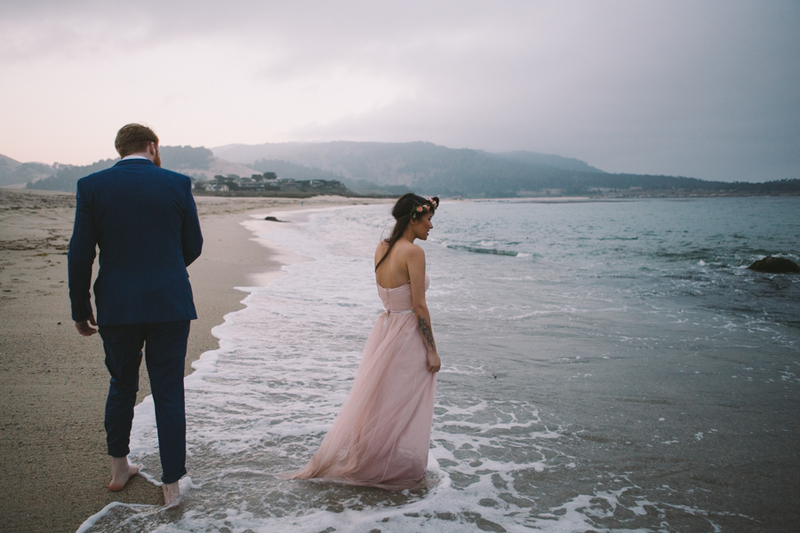 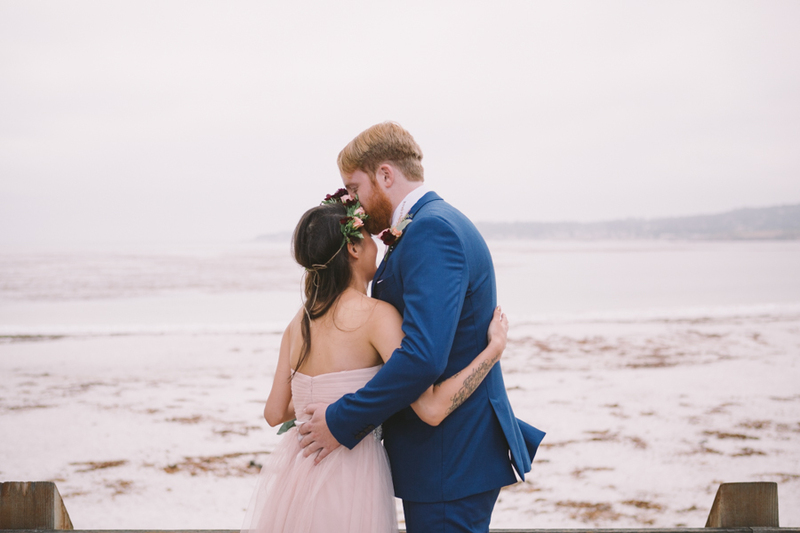 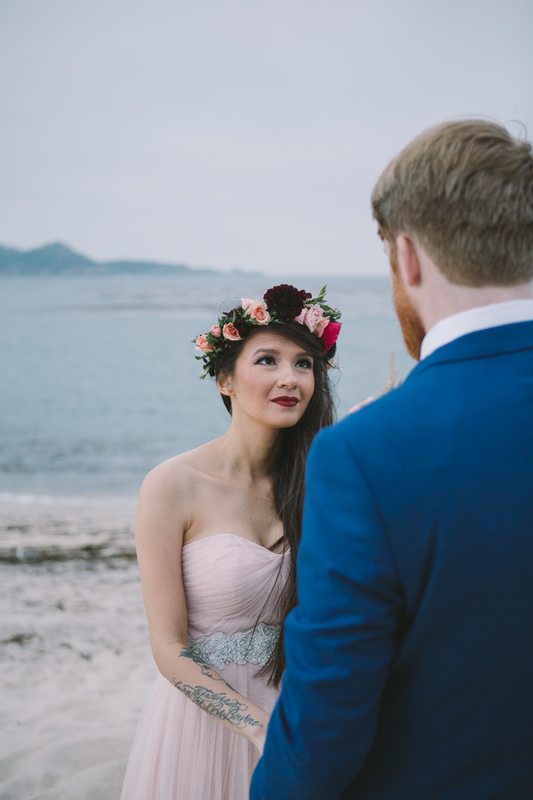 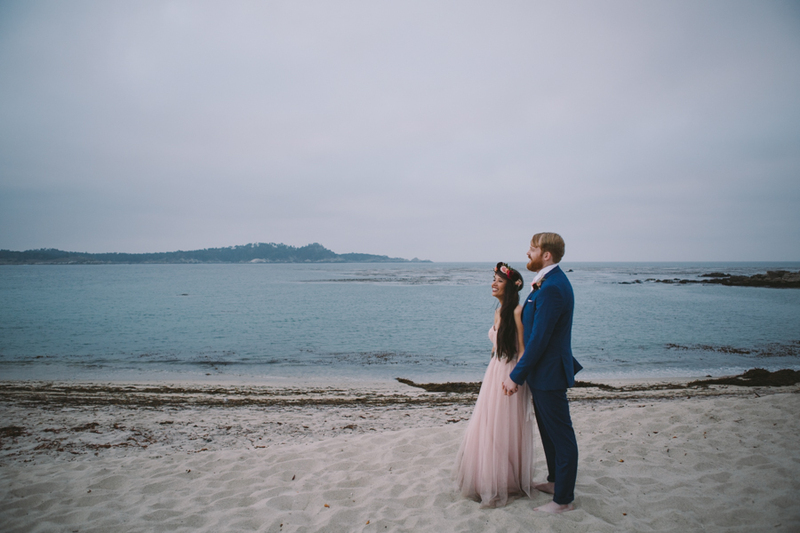 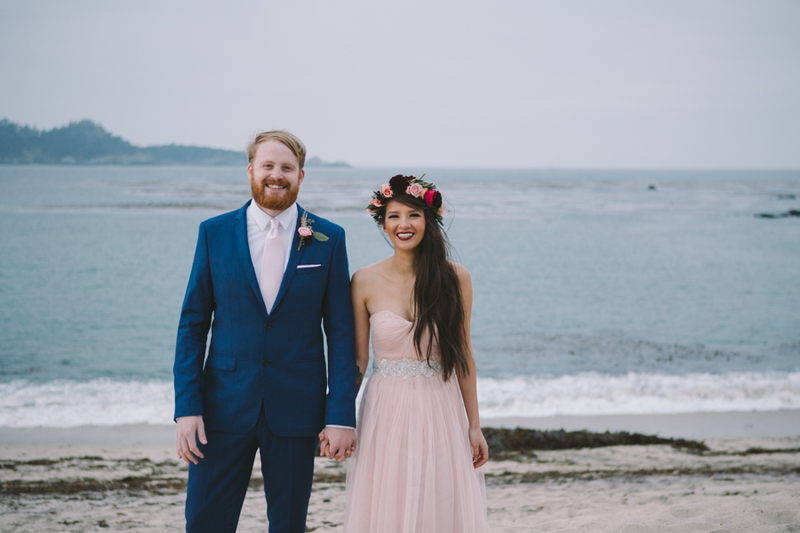 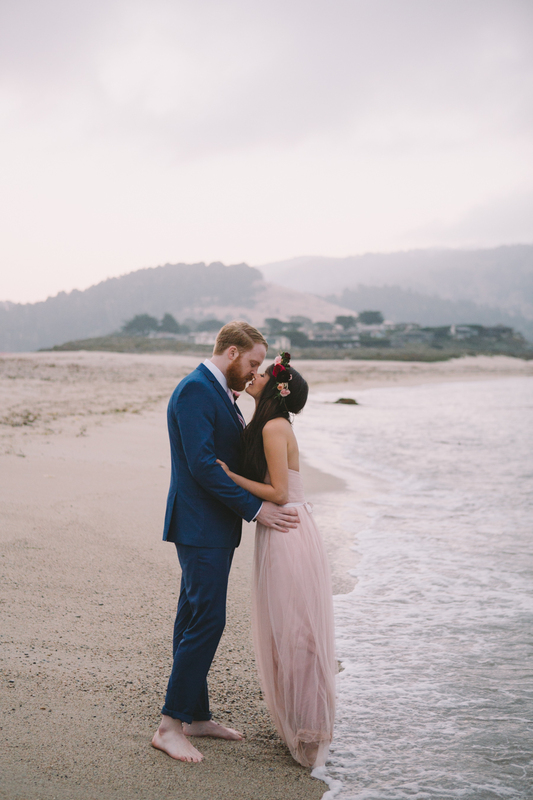 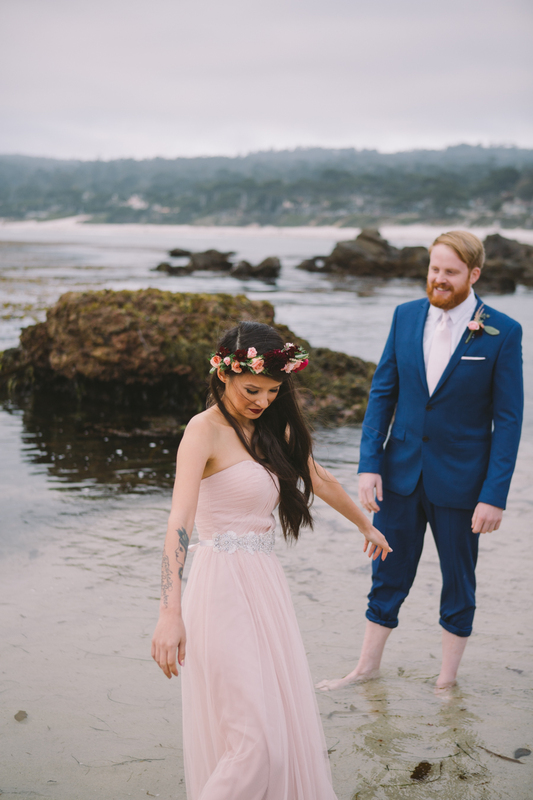 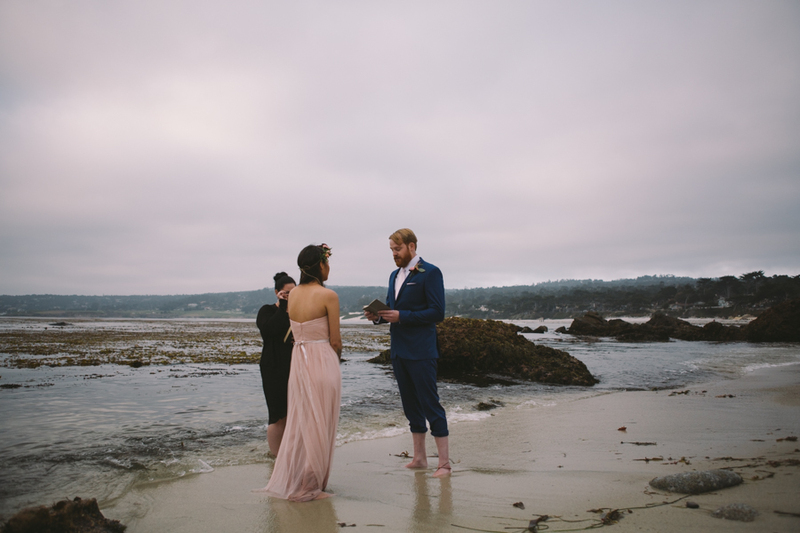 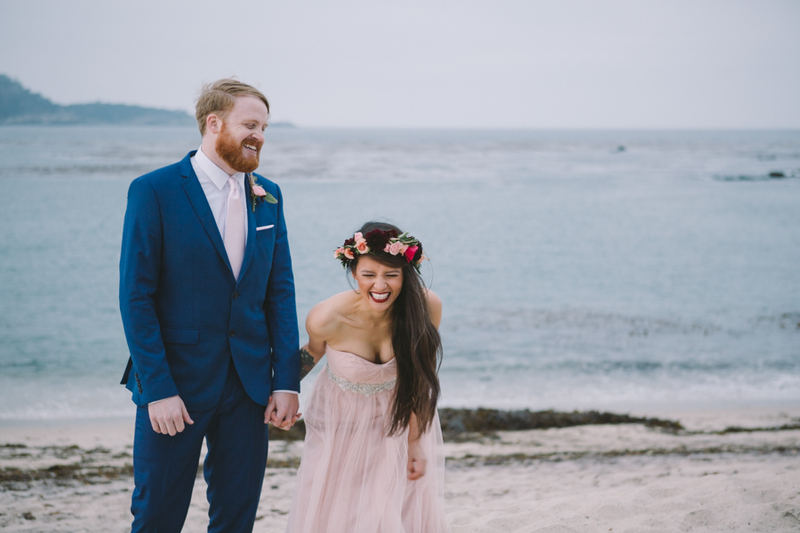 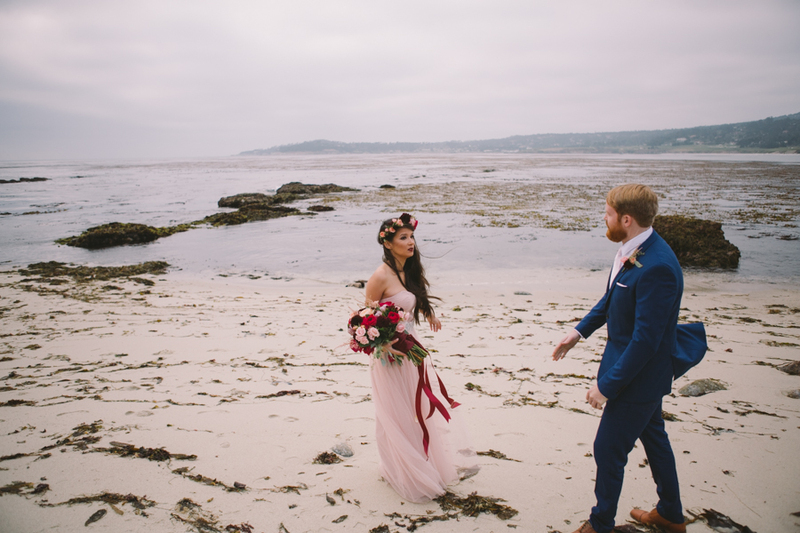 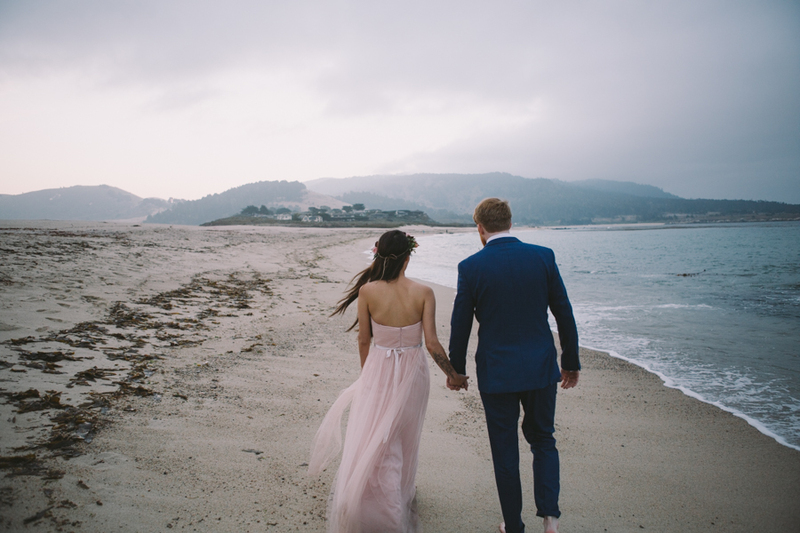 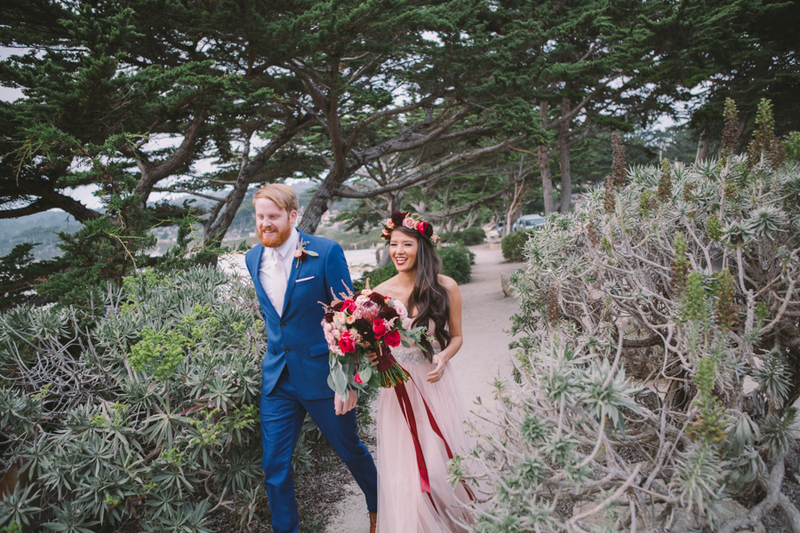 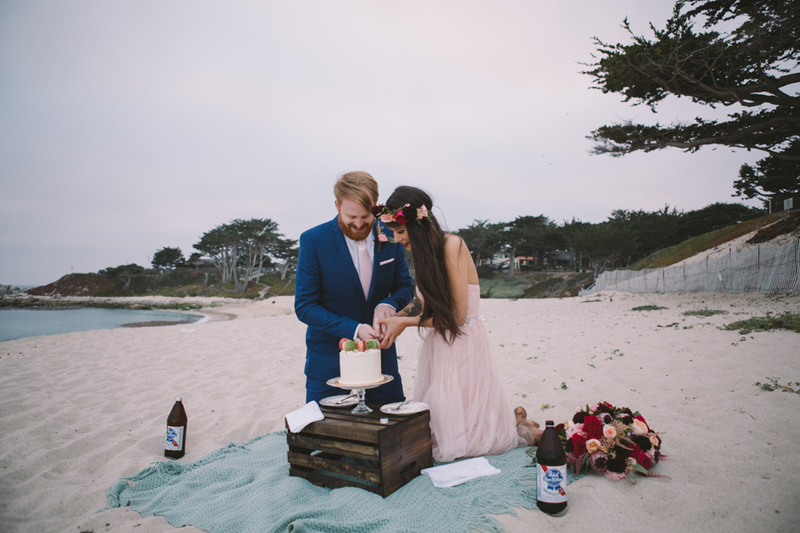 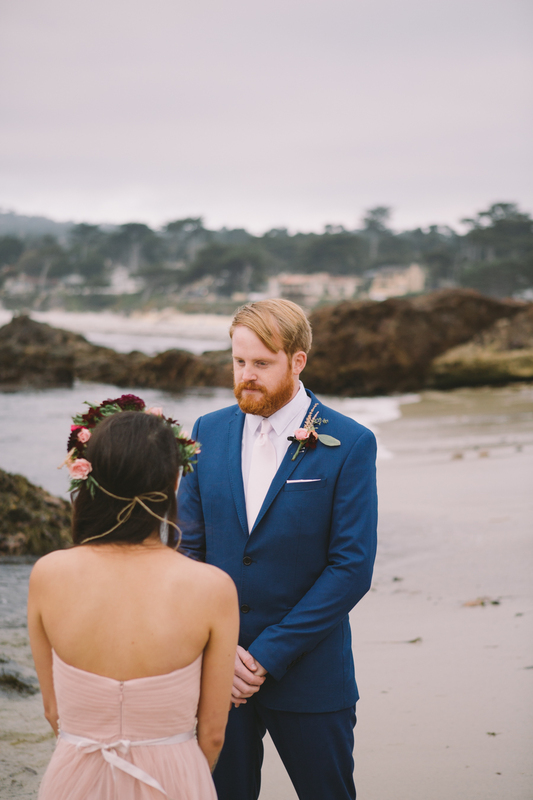 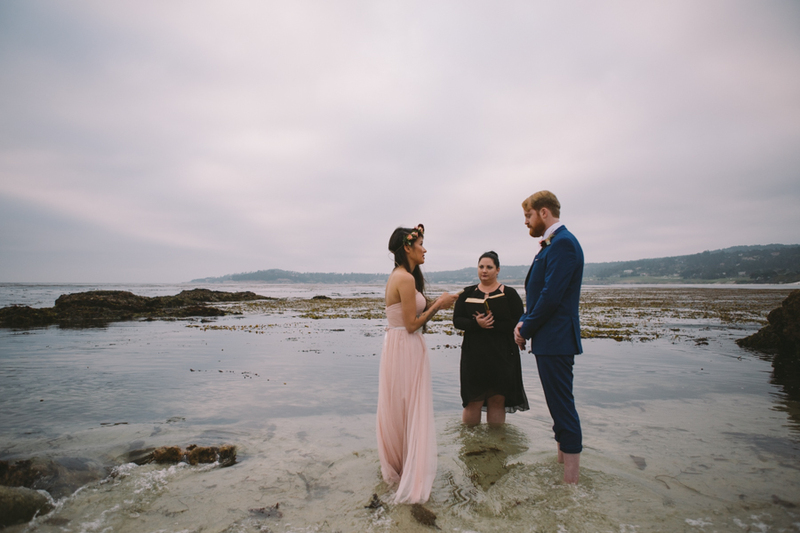 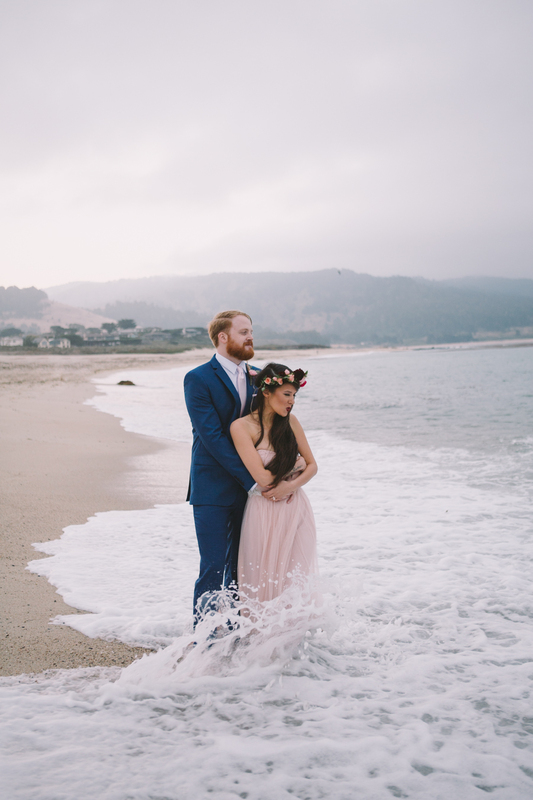 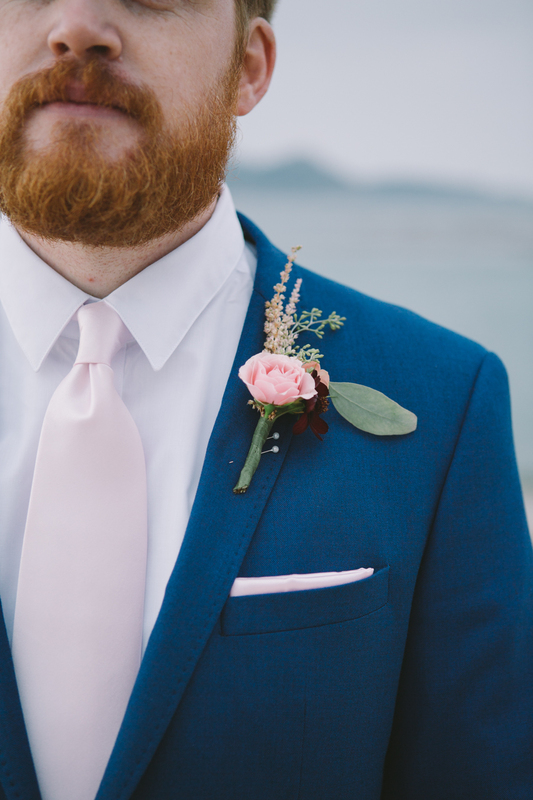 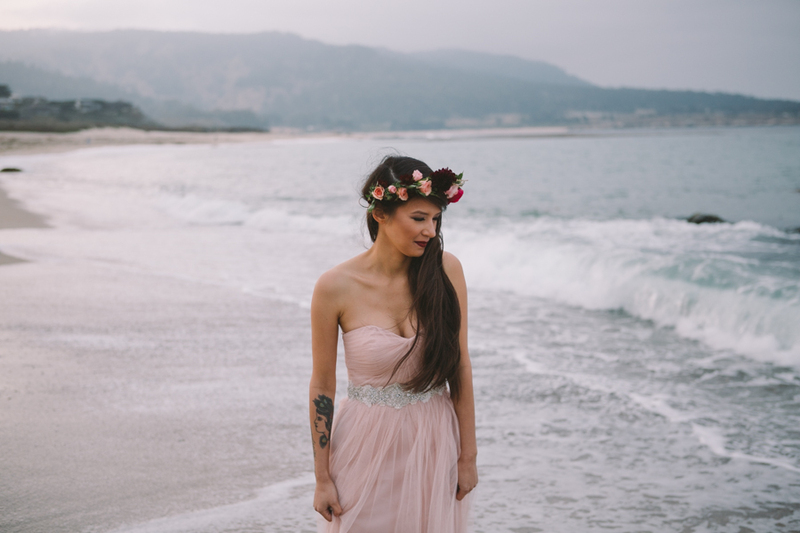 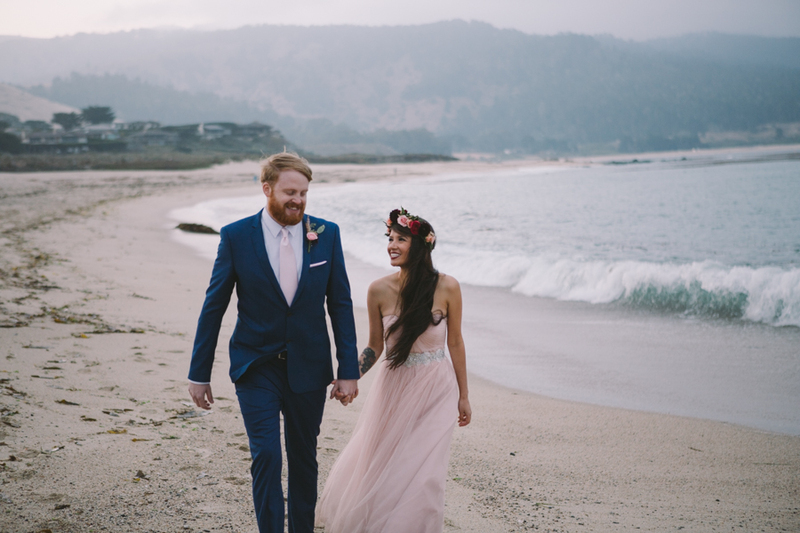 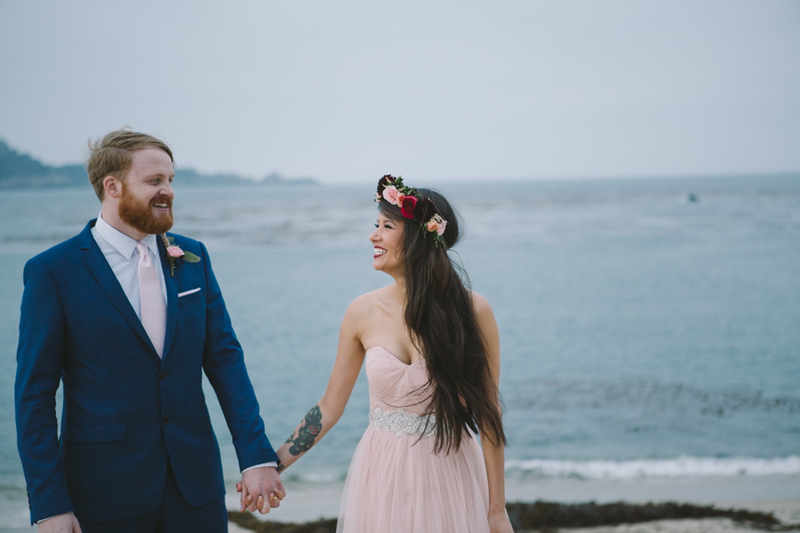 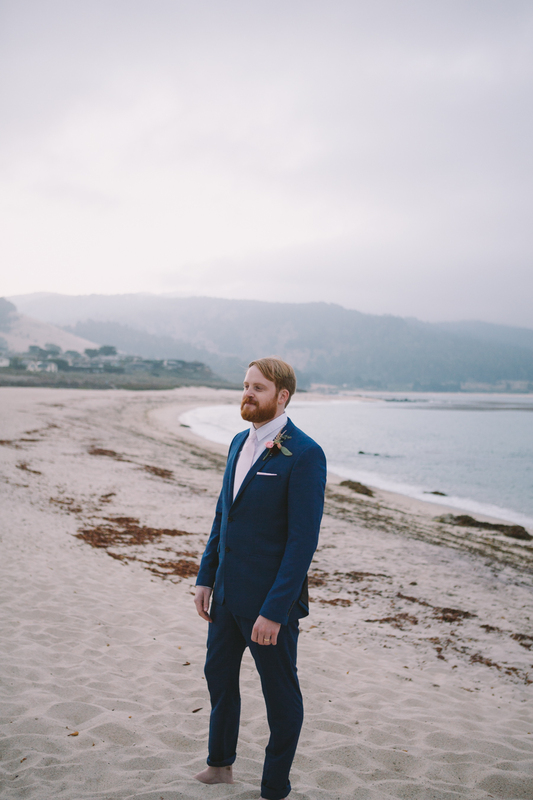 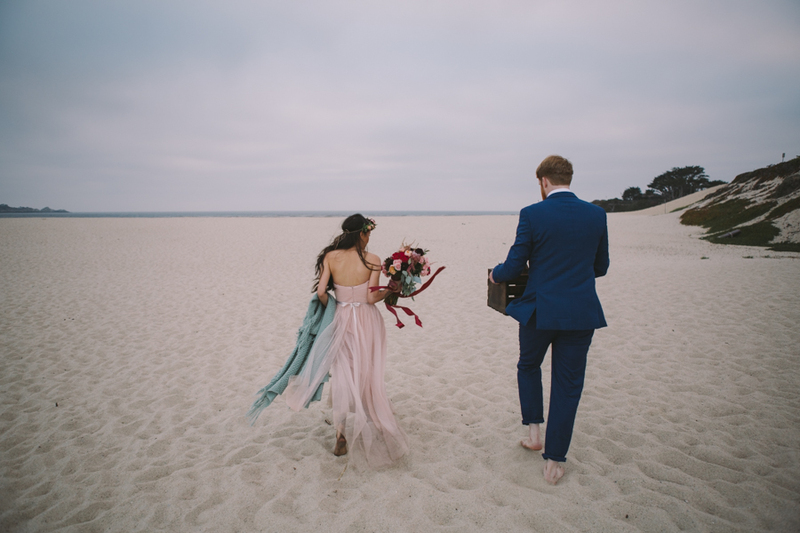 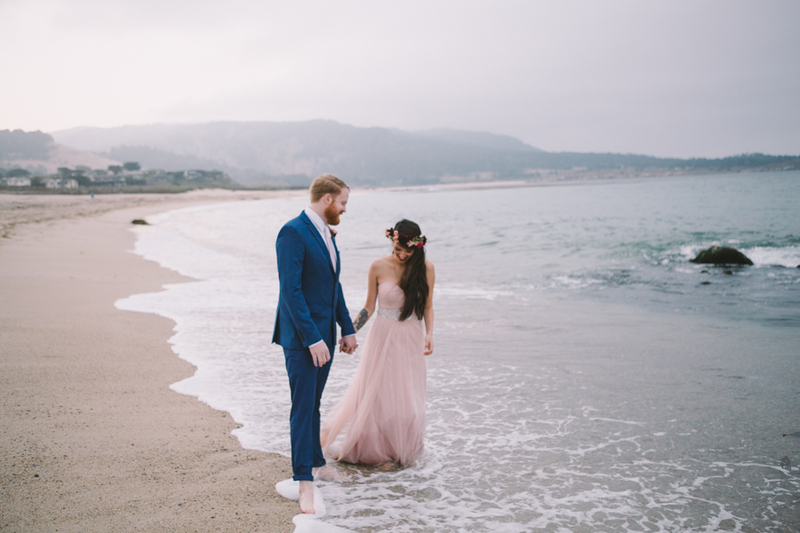 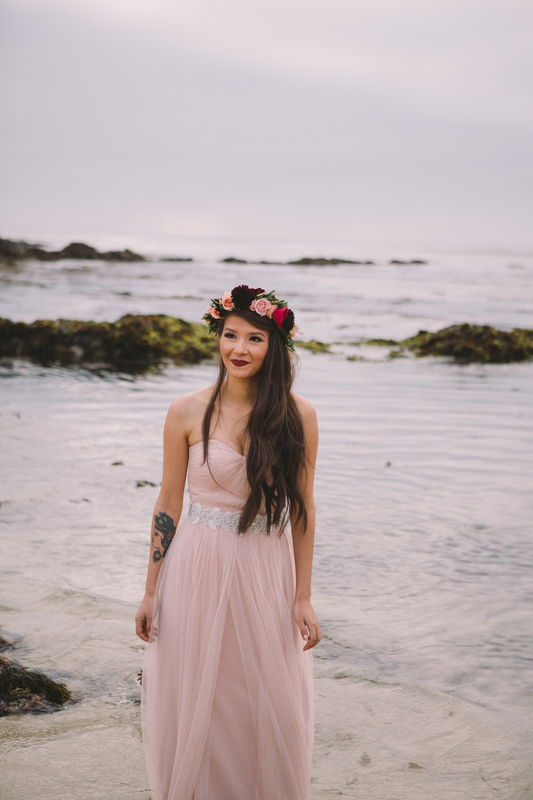 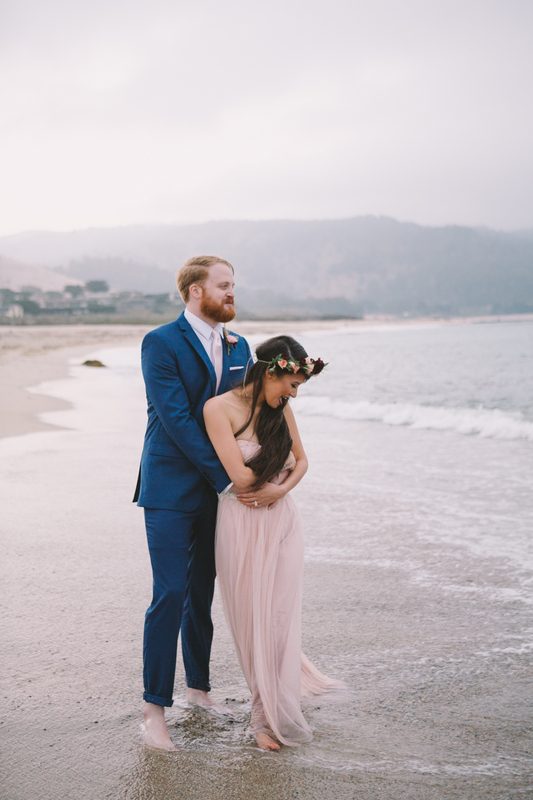 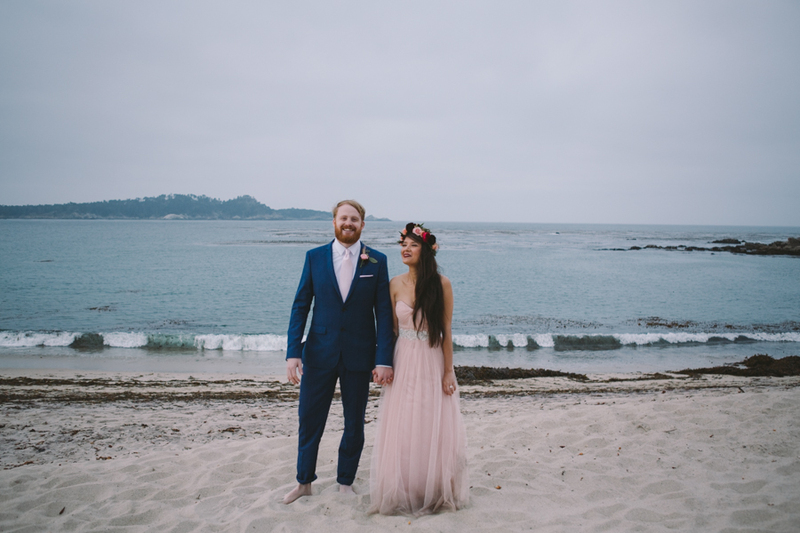 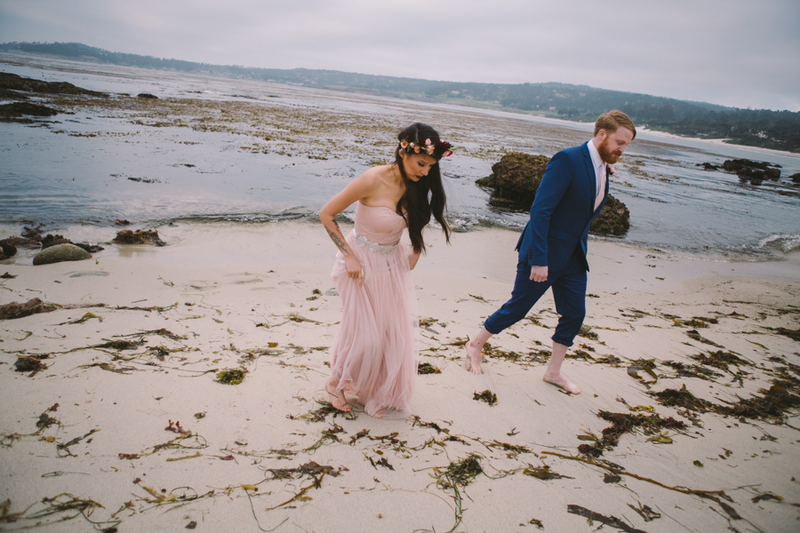 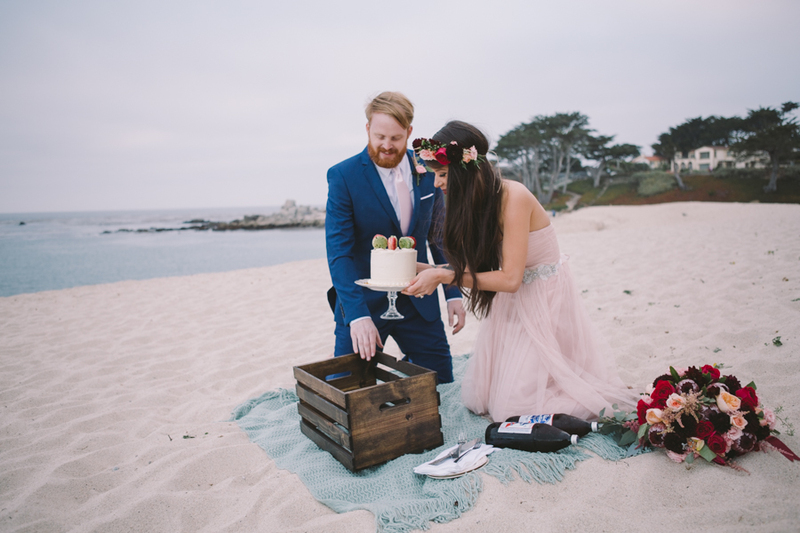 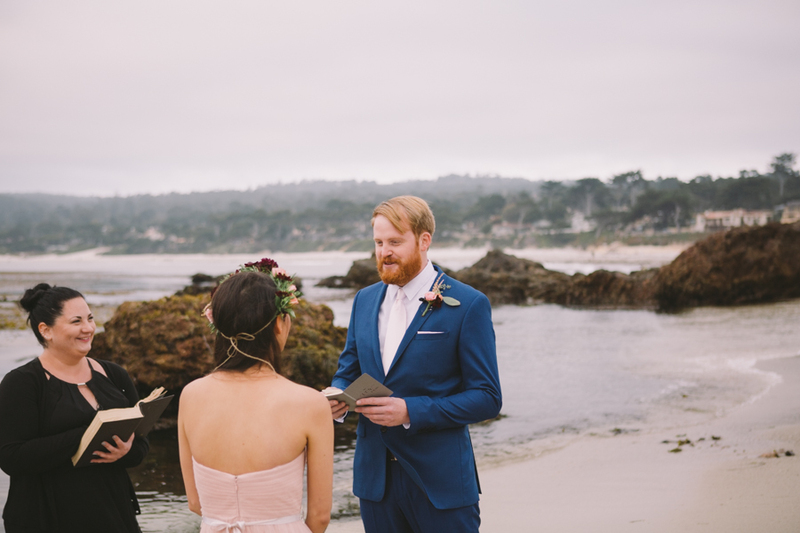 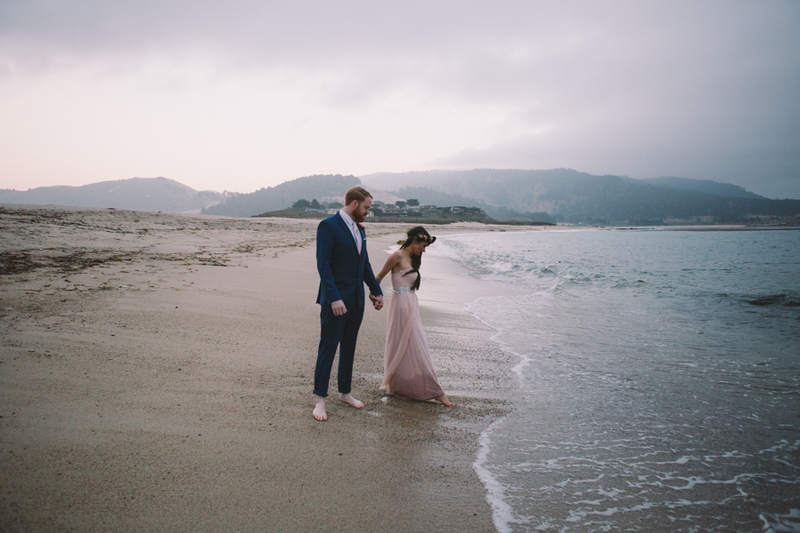 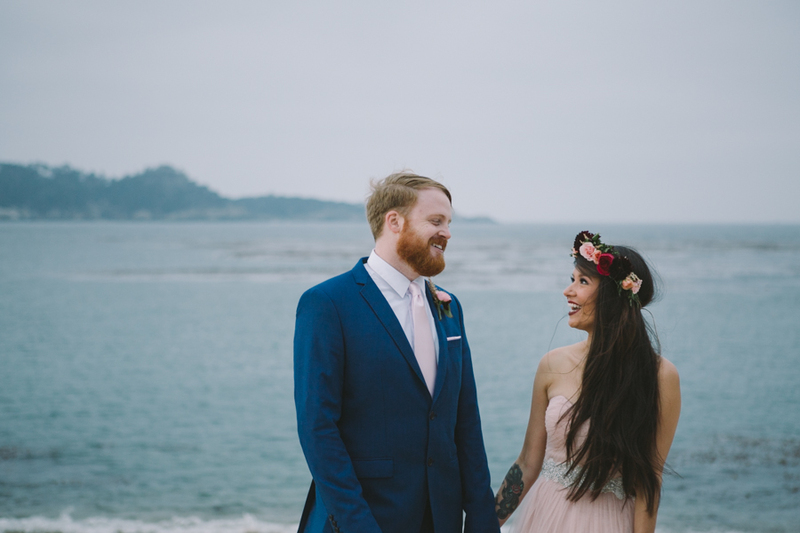 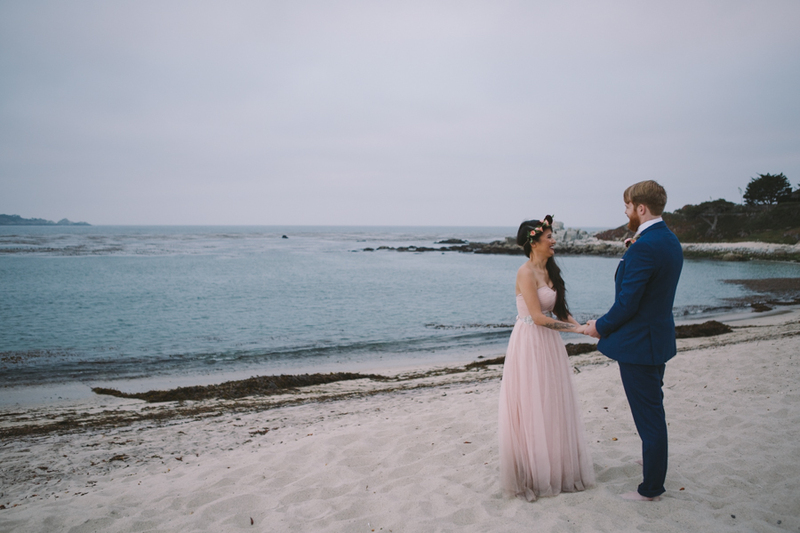 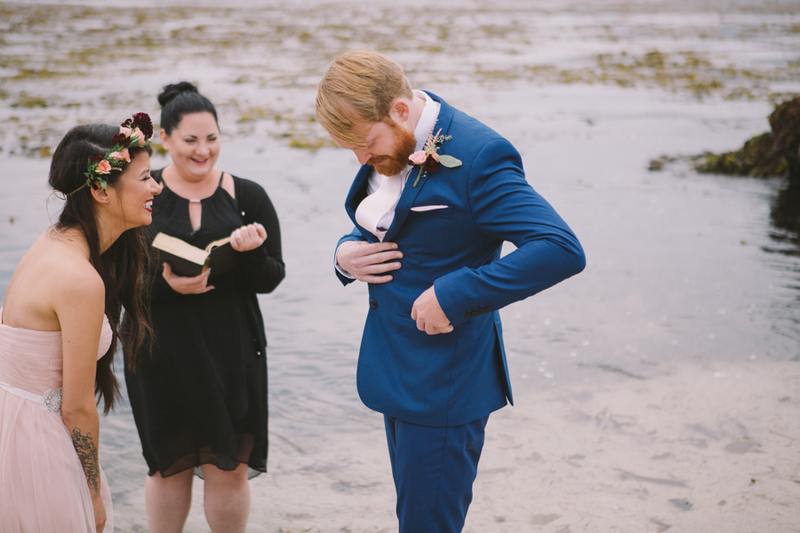 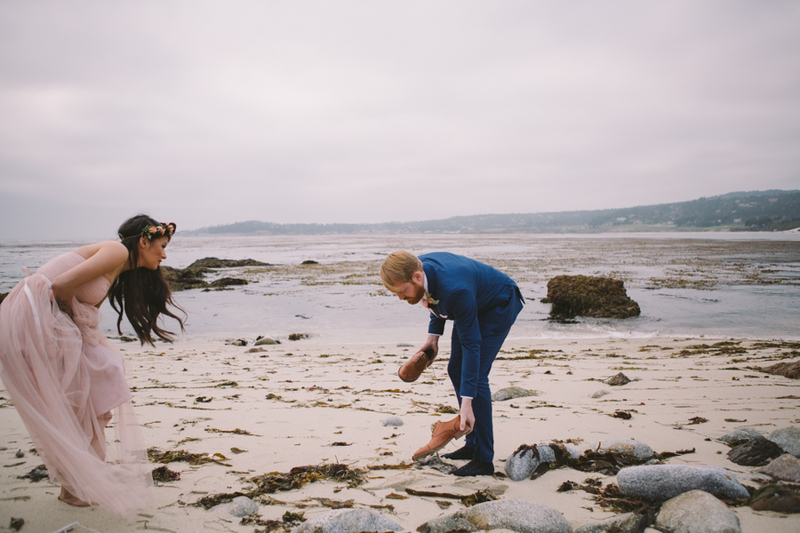 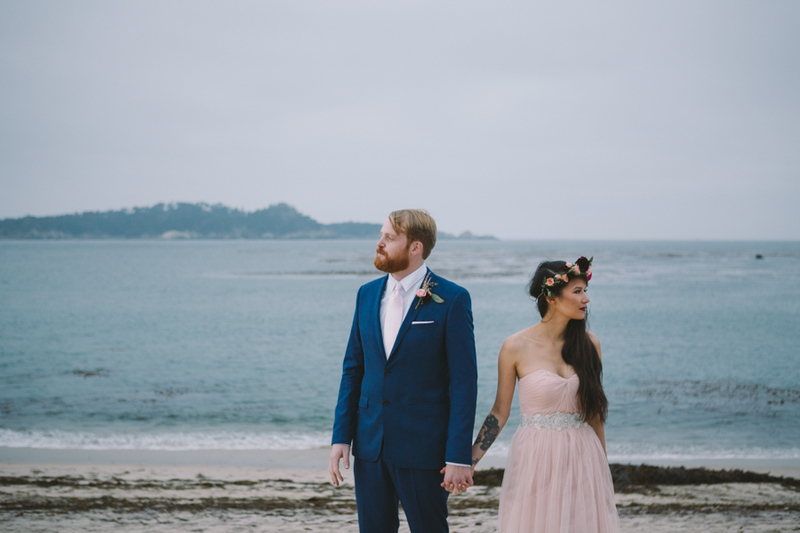 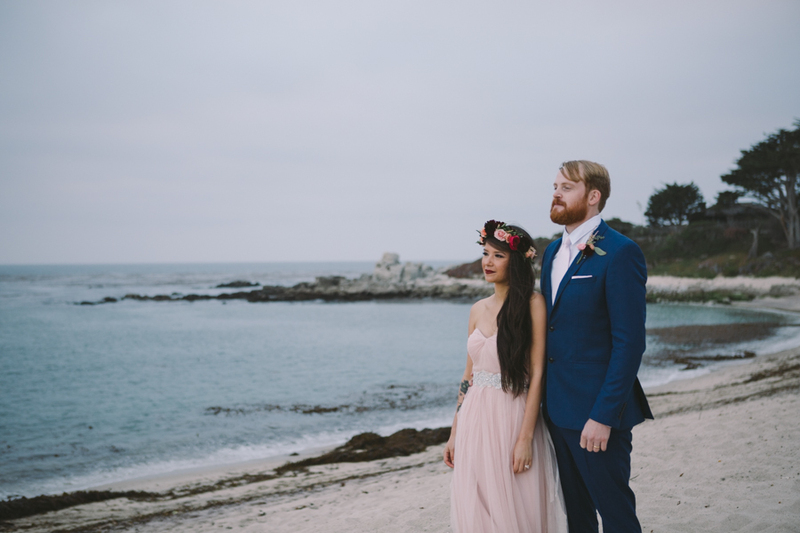 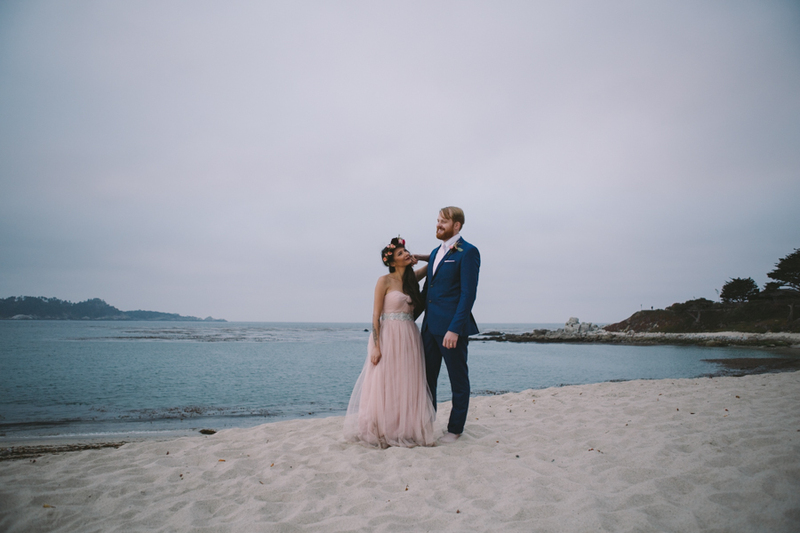 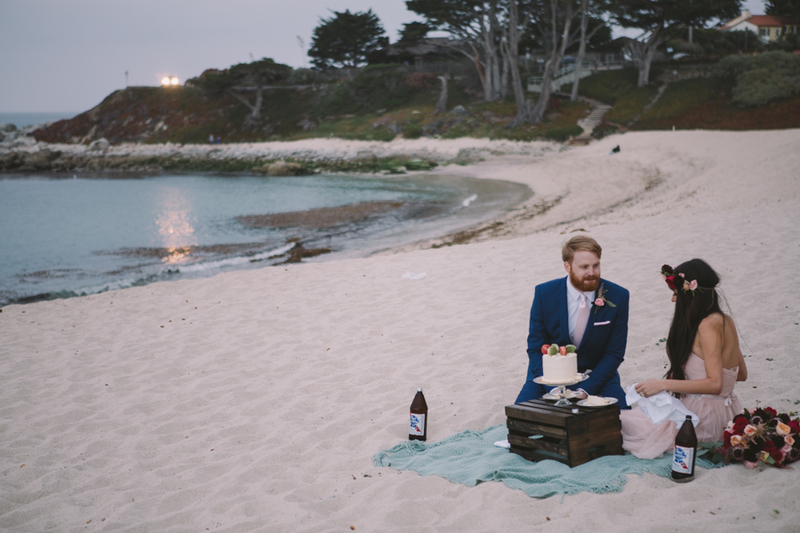 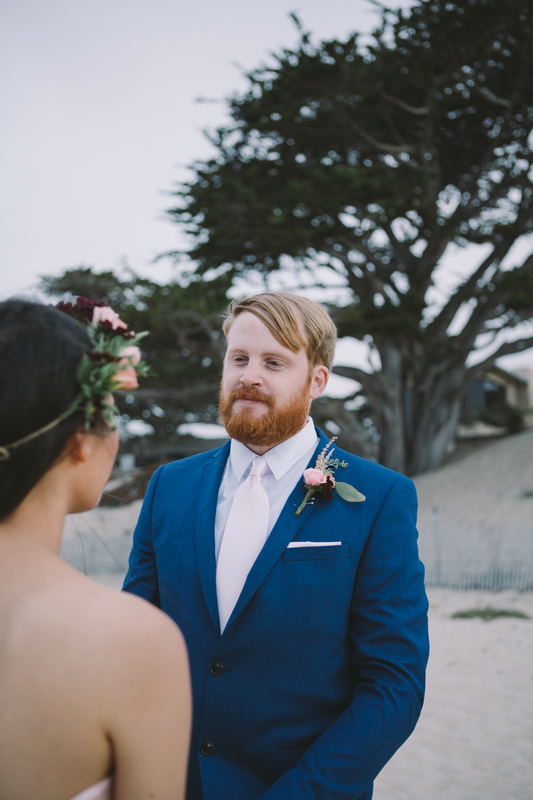 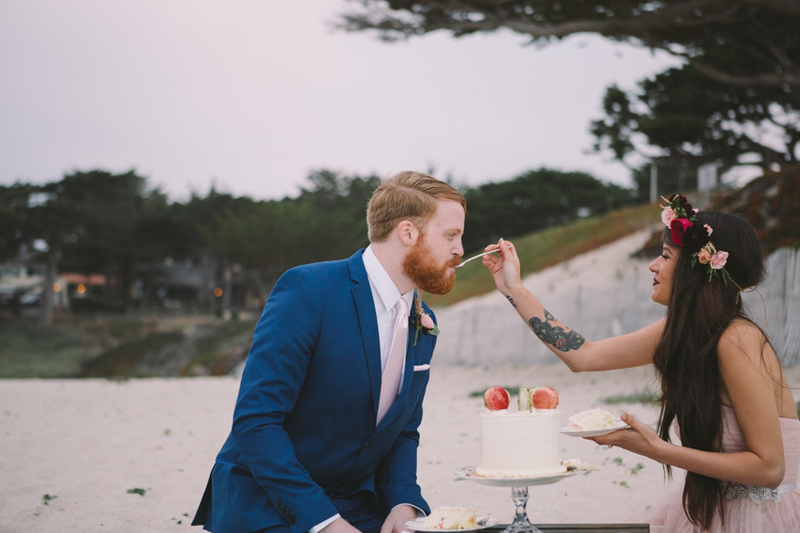 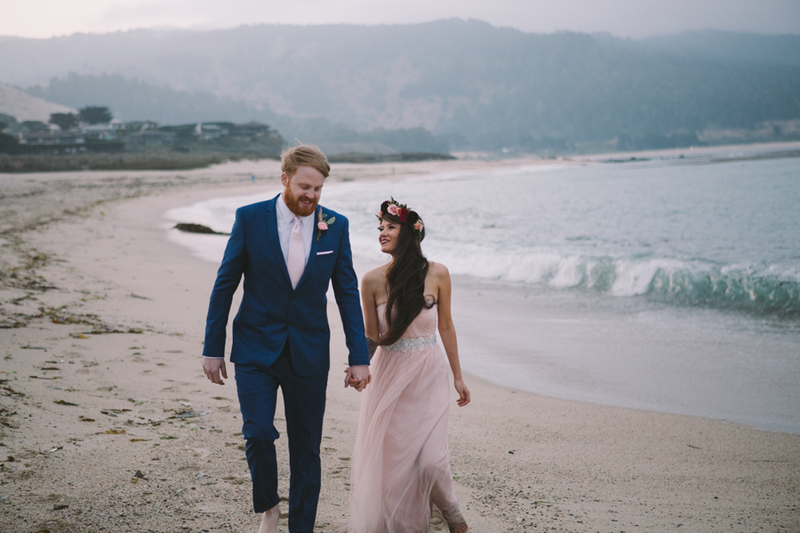 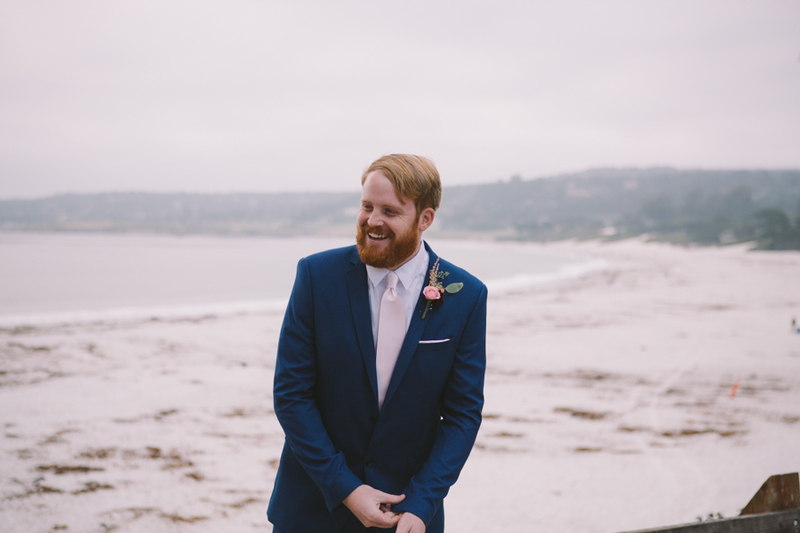 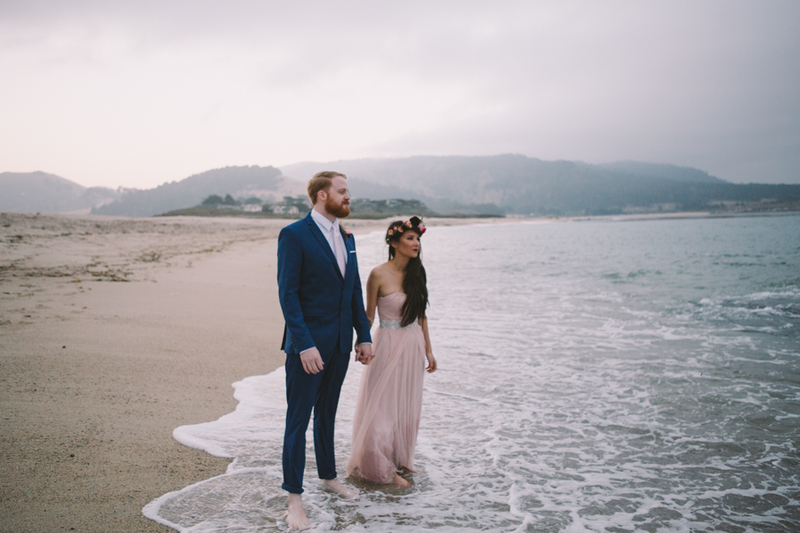 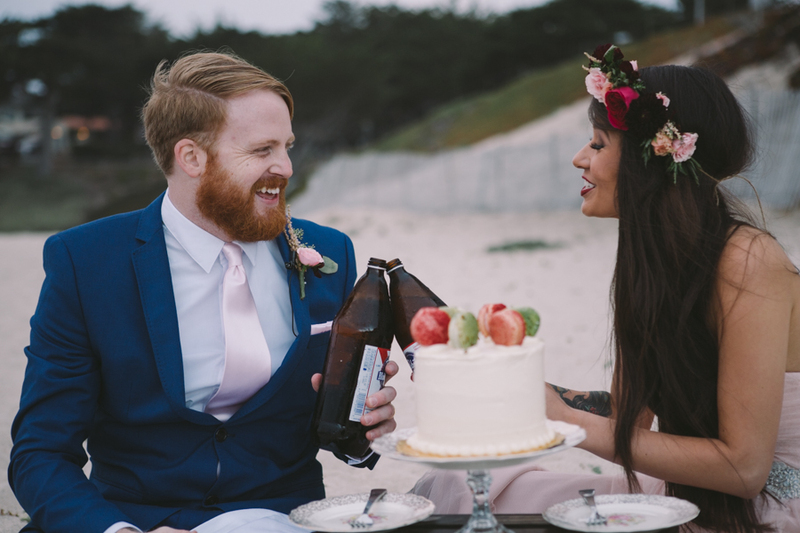 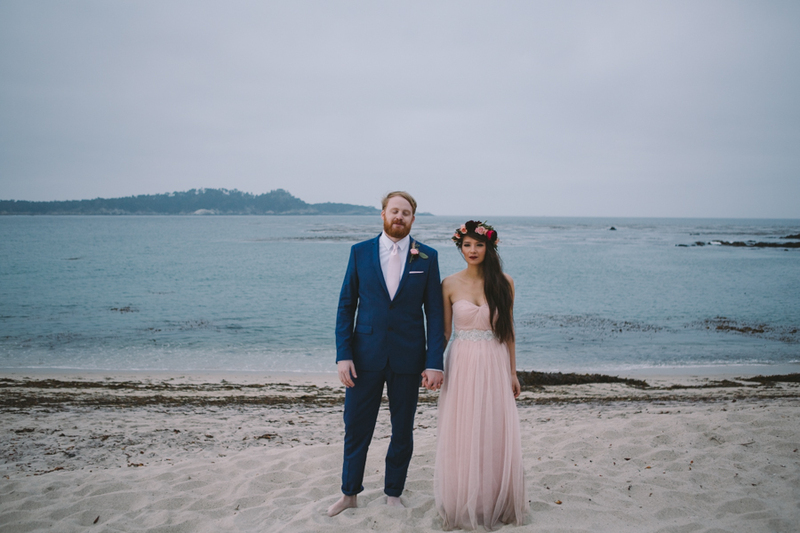 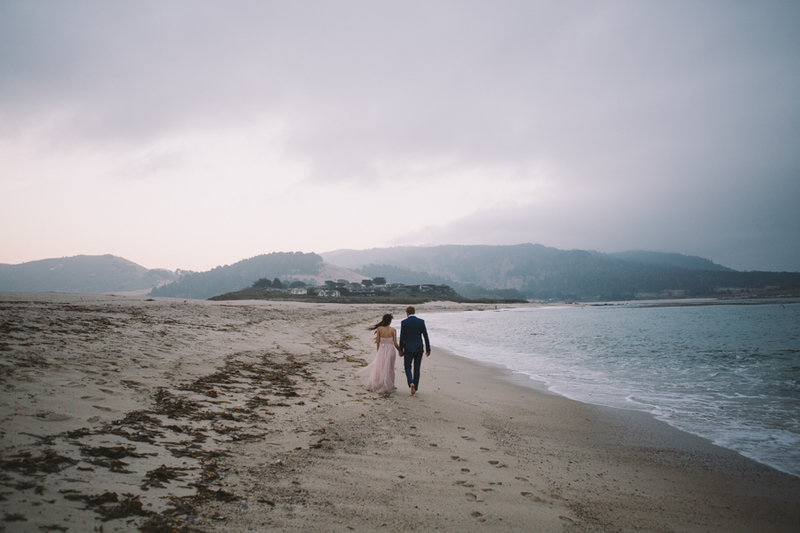 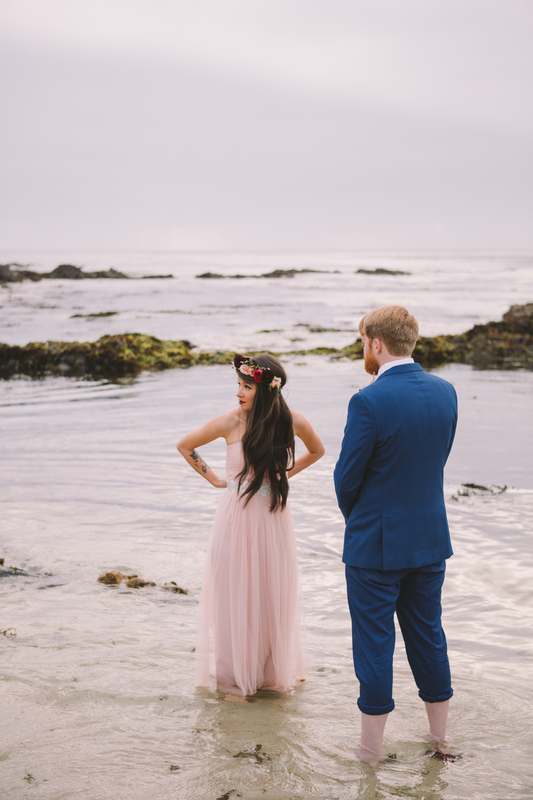 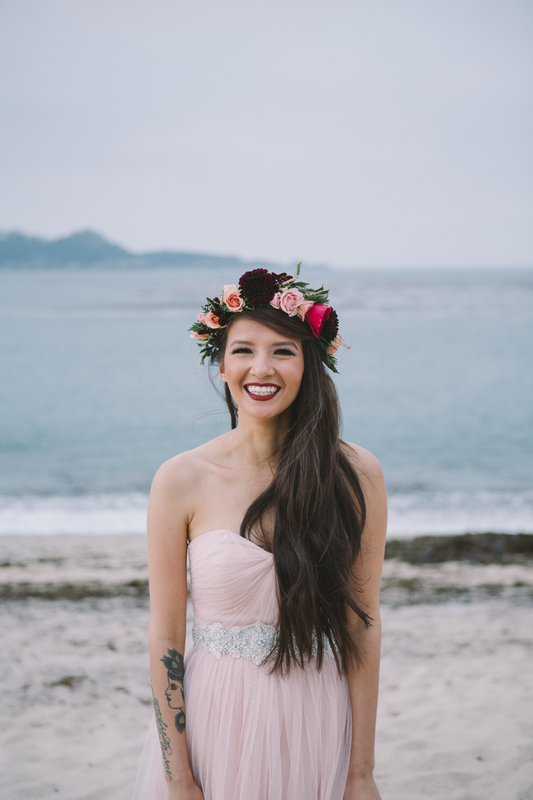 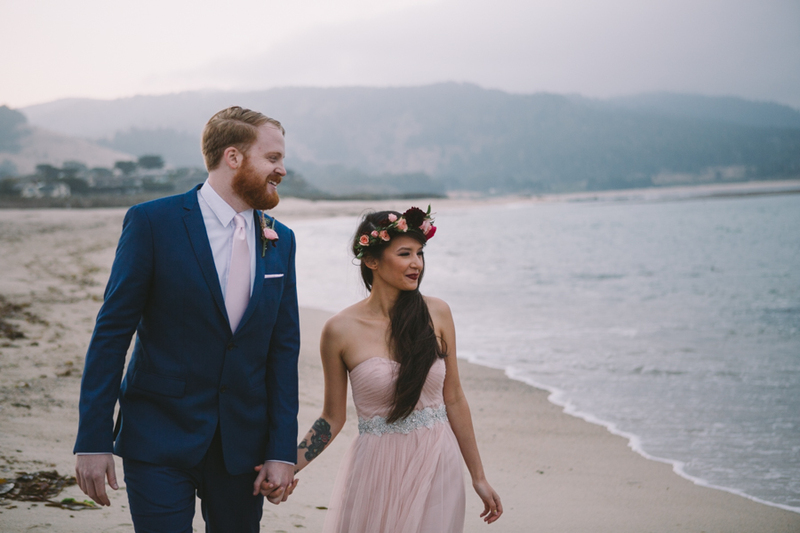 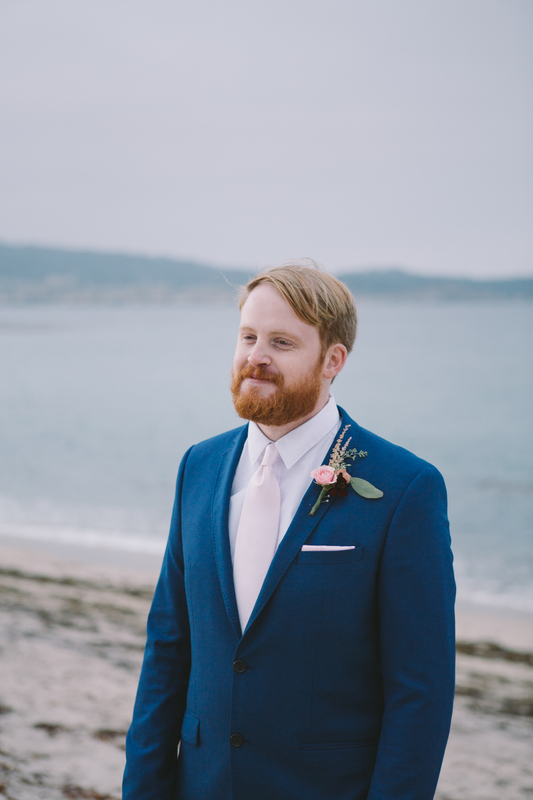 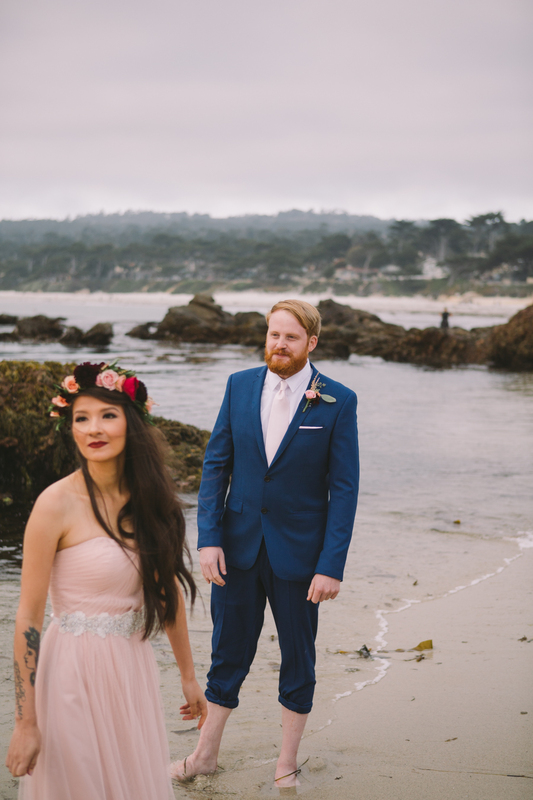 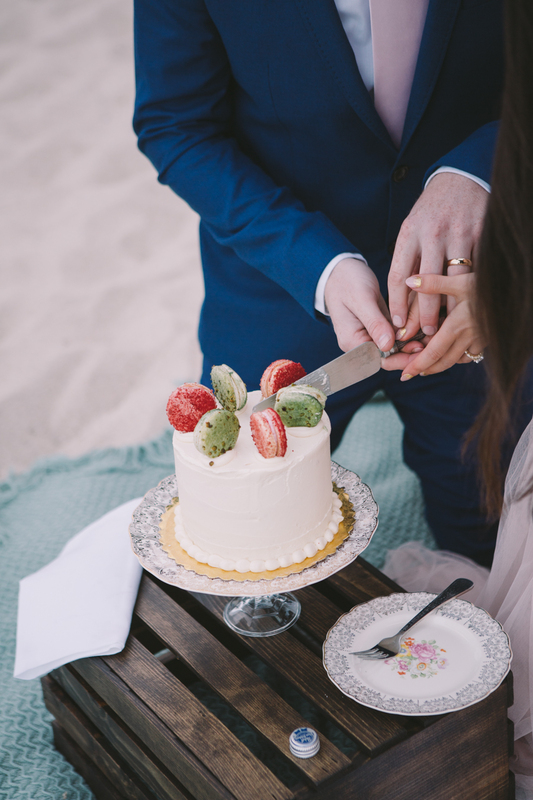 Lizz and Sean were married at Carmel City Beach. 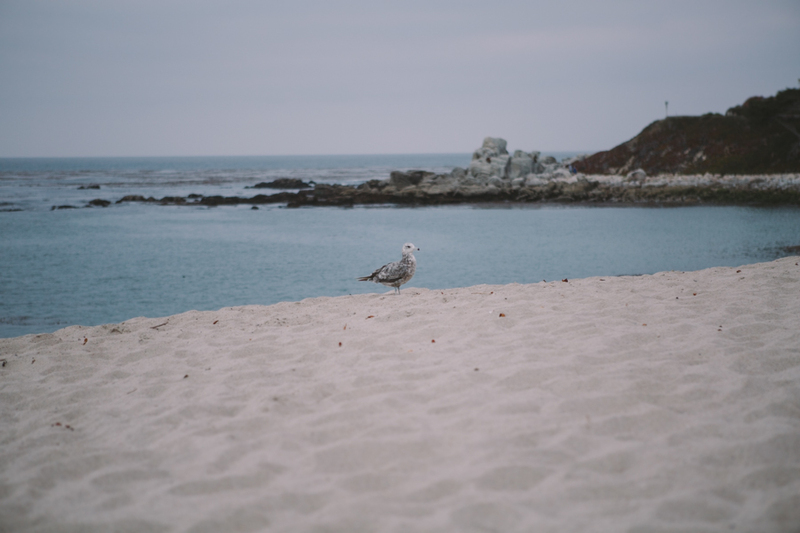 The beach is in beautiful Monterey Bay, just north of Big Sur. 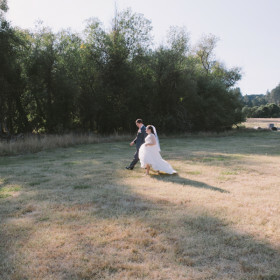 It was a warm summer day with lovely diffused light. 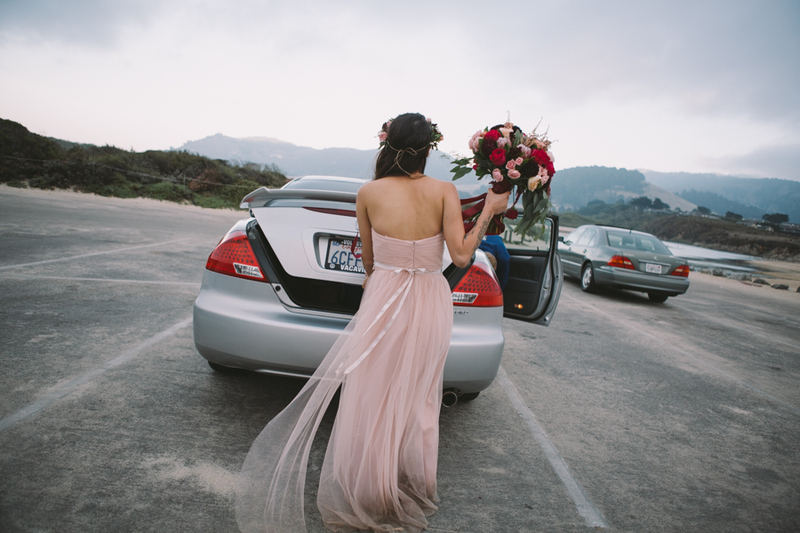 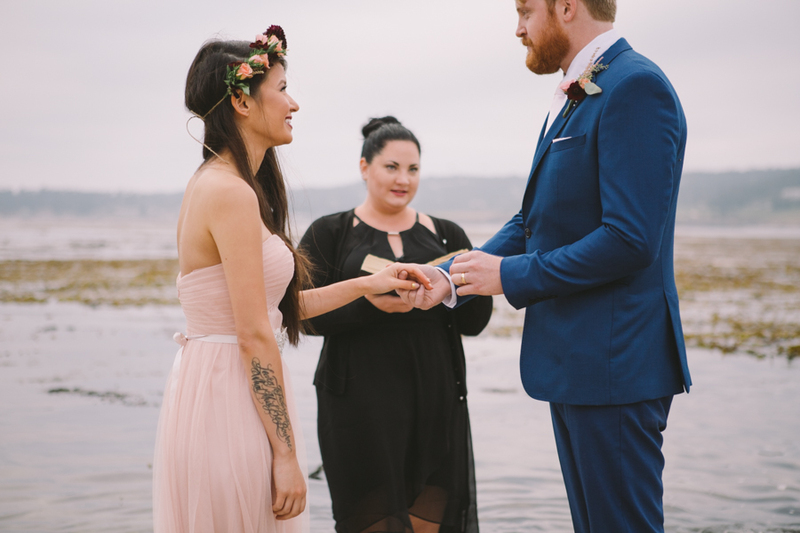 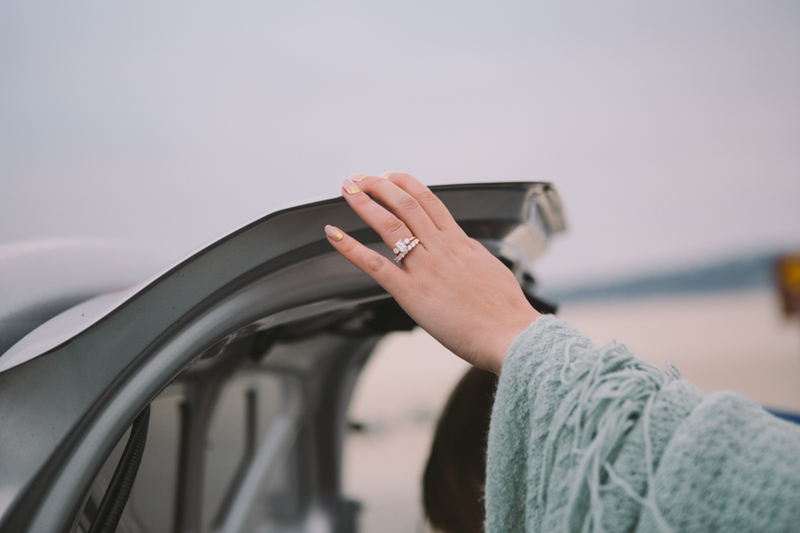 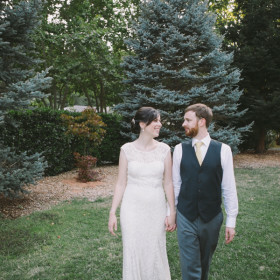 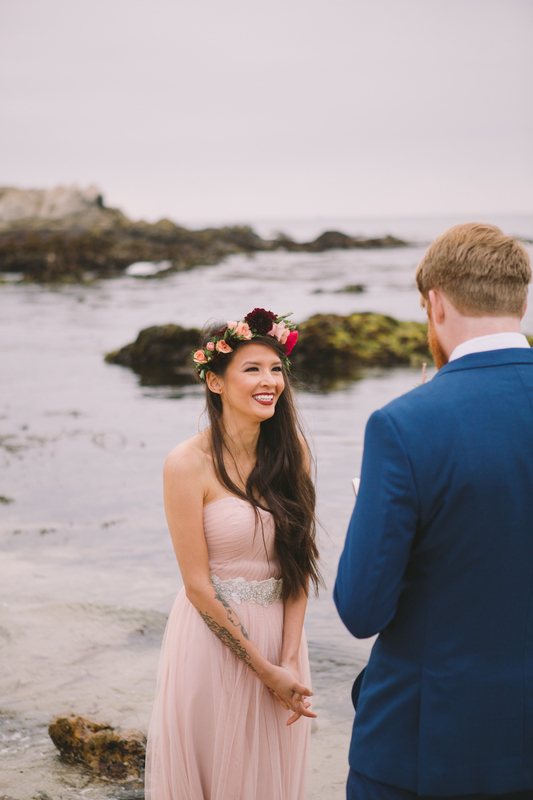 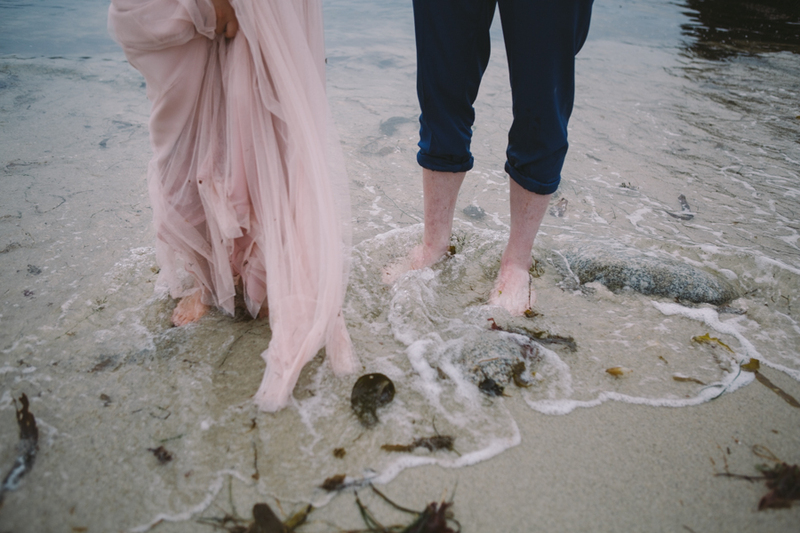 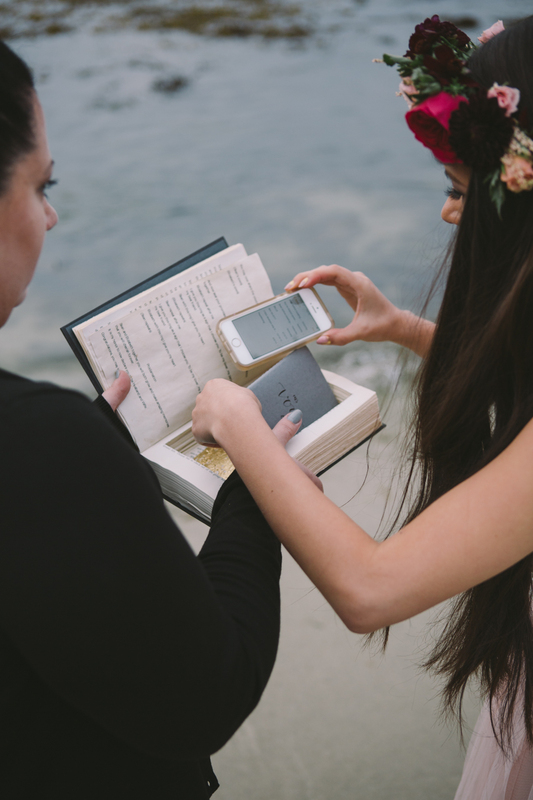 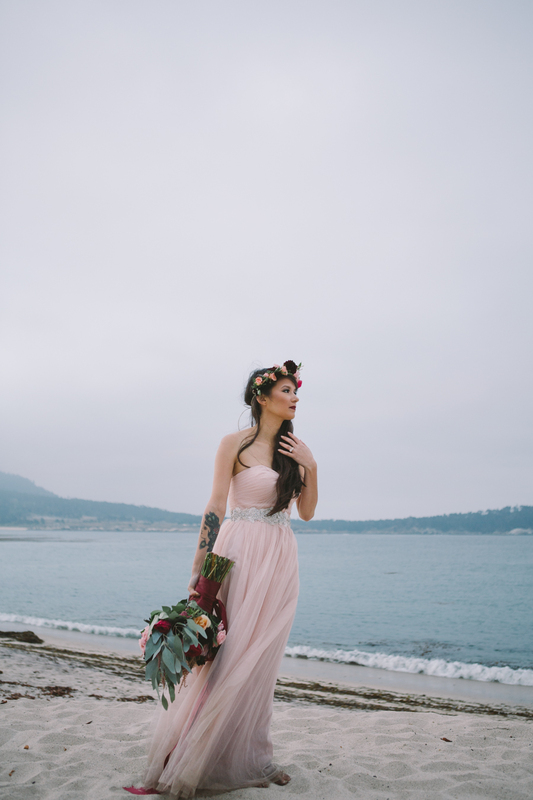 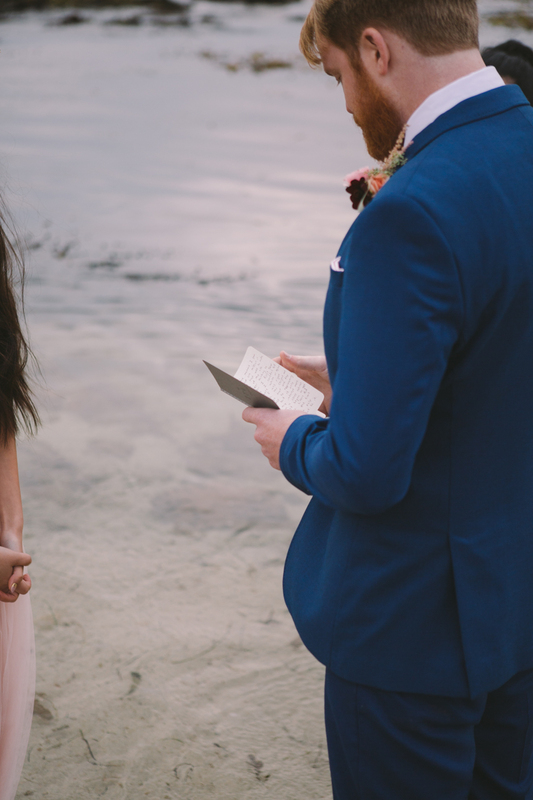 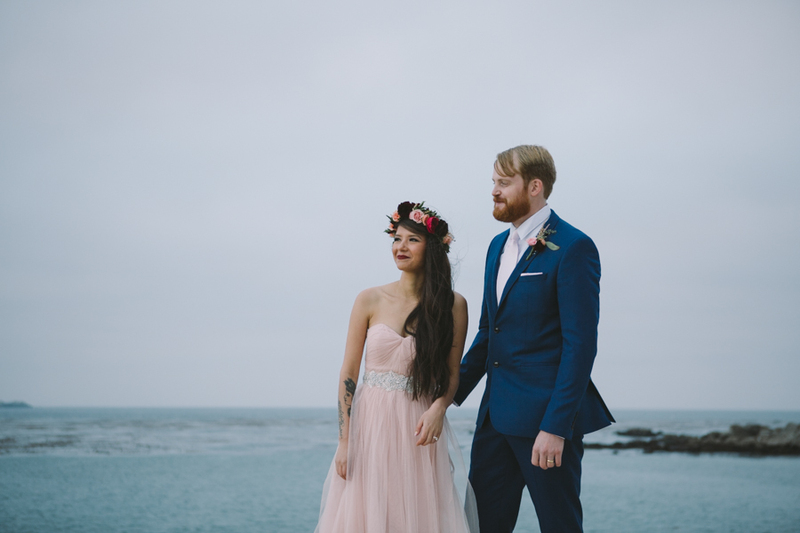 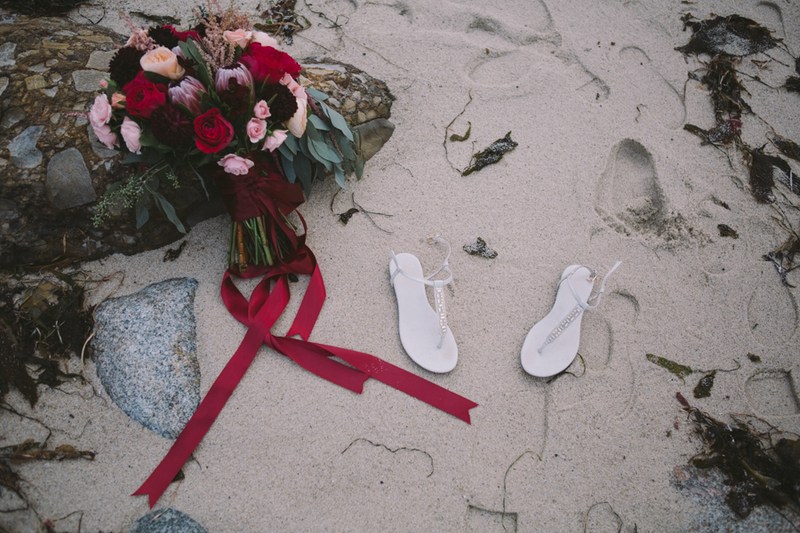 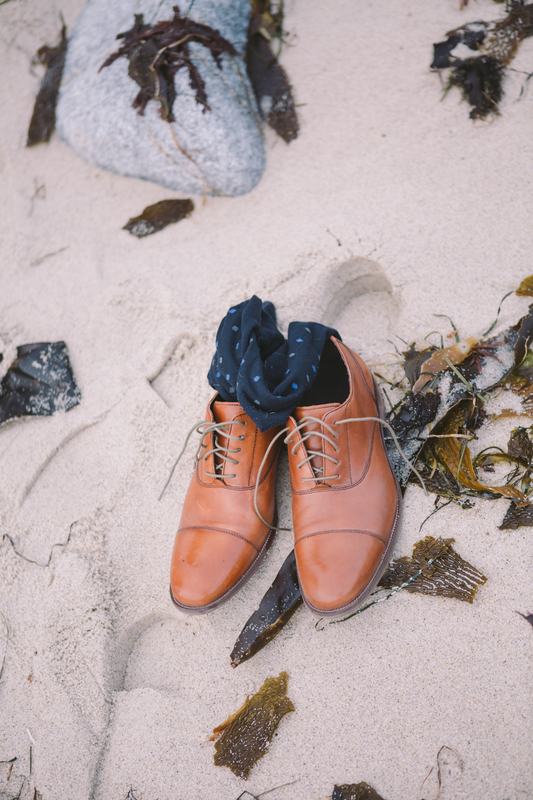 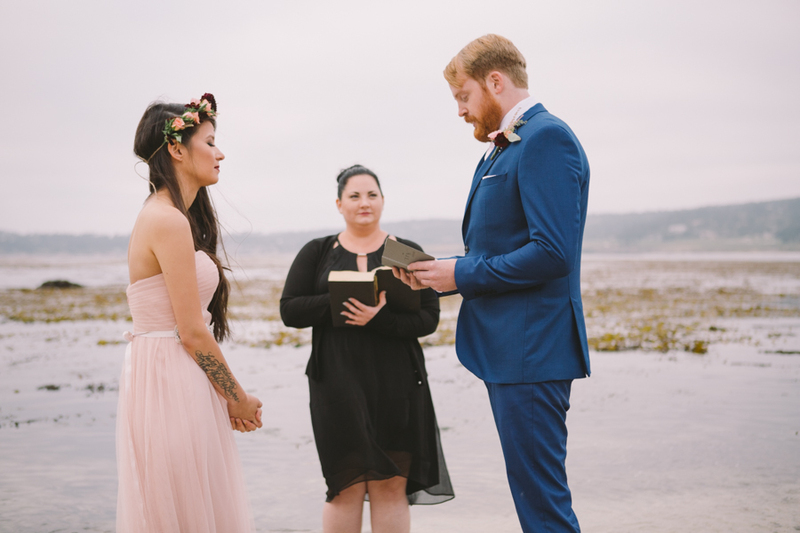 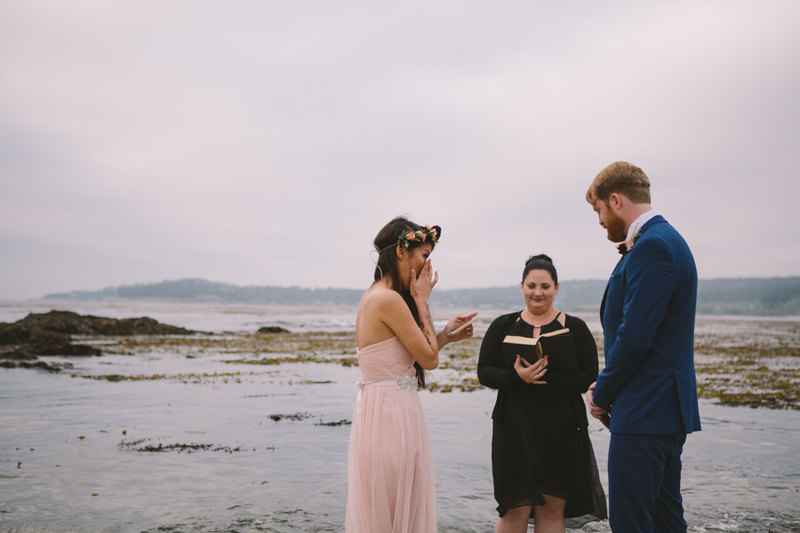 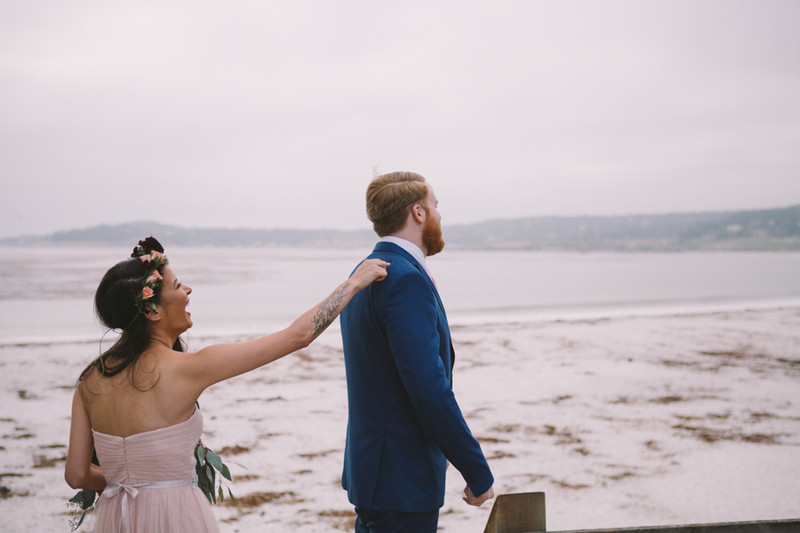 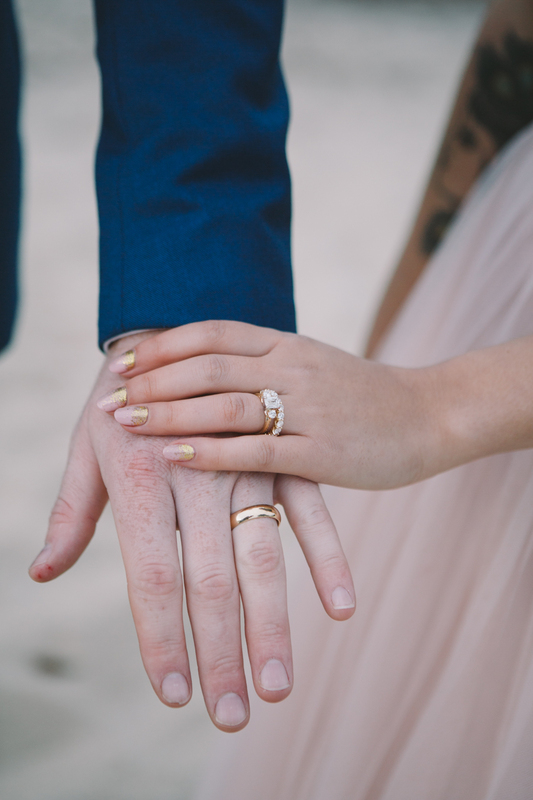 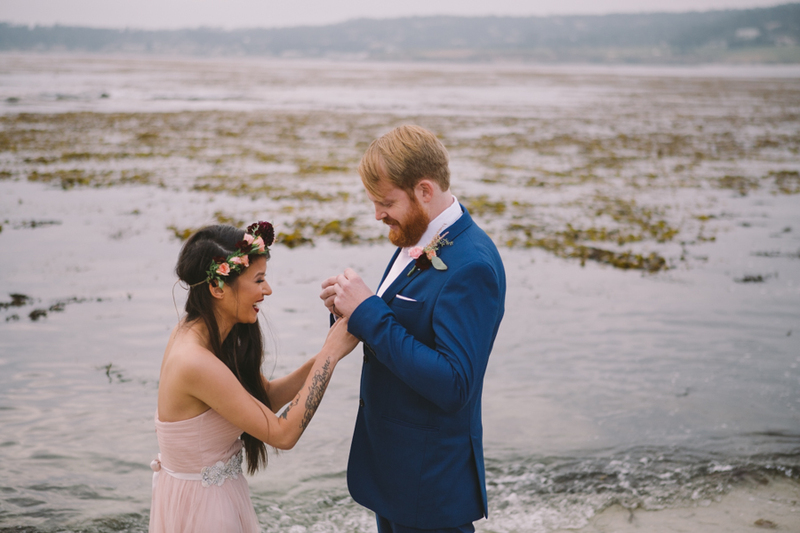 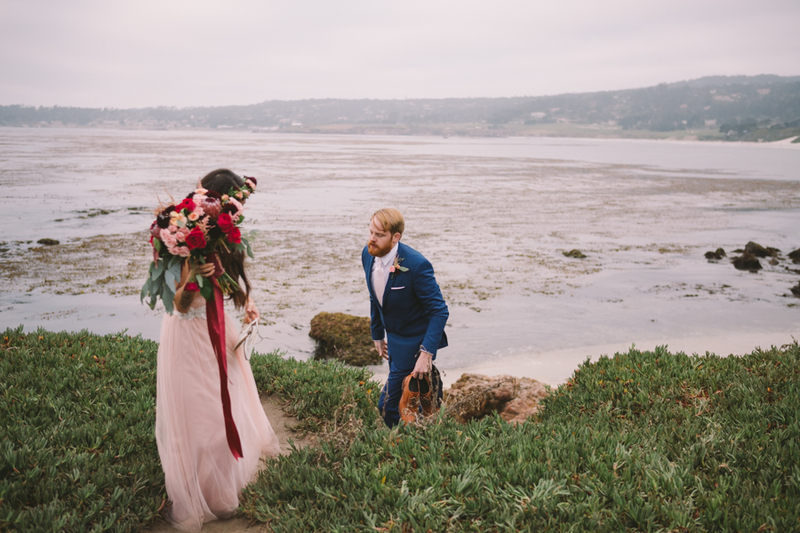 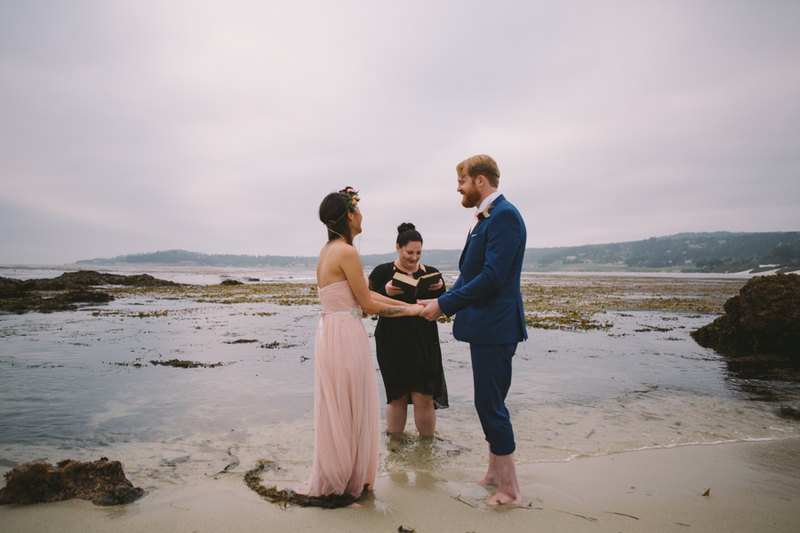 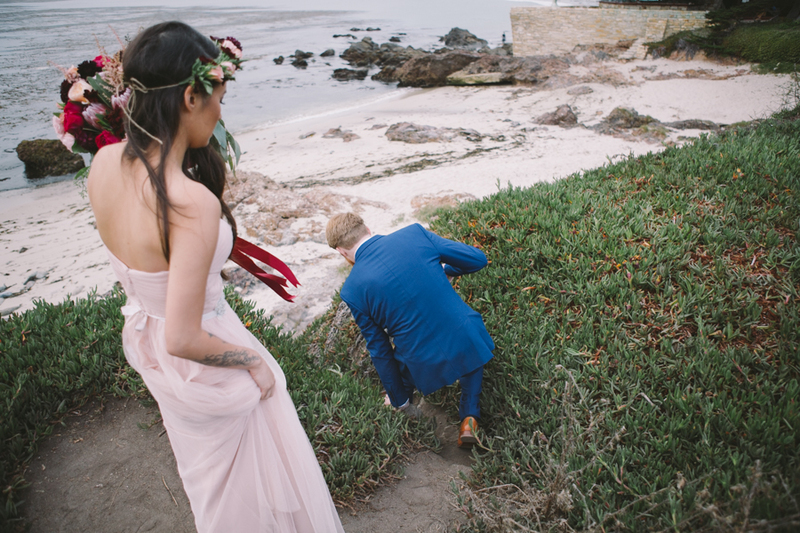 Their ceremony was held at a private outcrop along the beach in the calm waters of the bay. 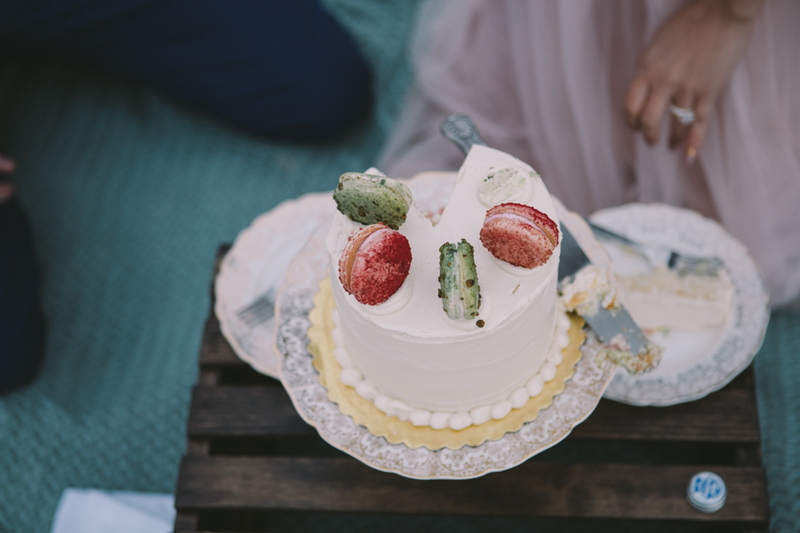 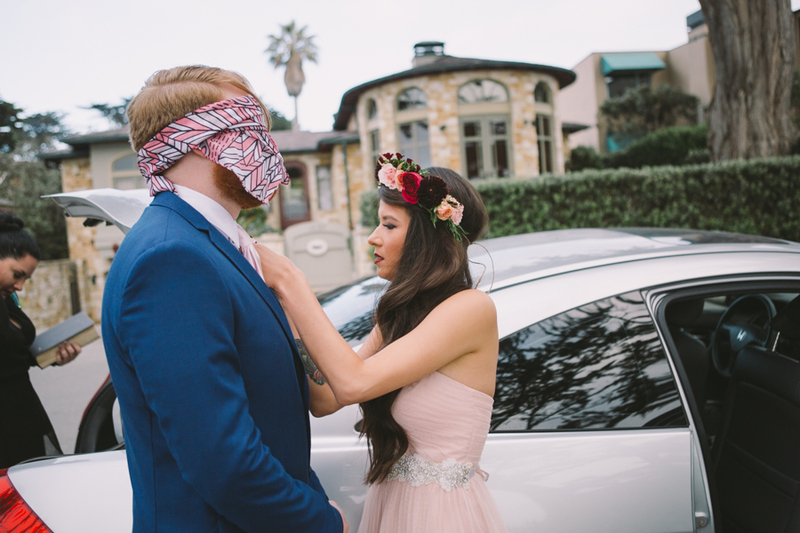 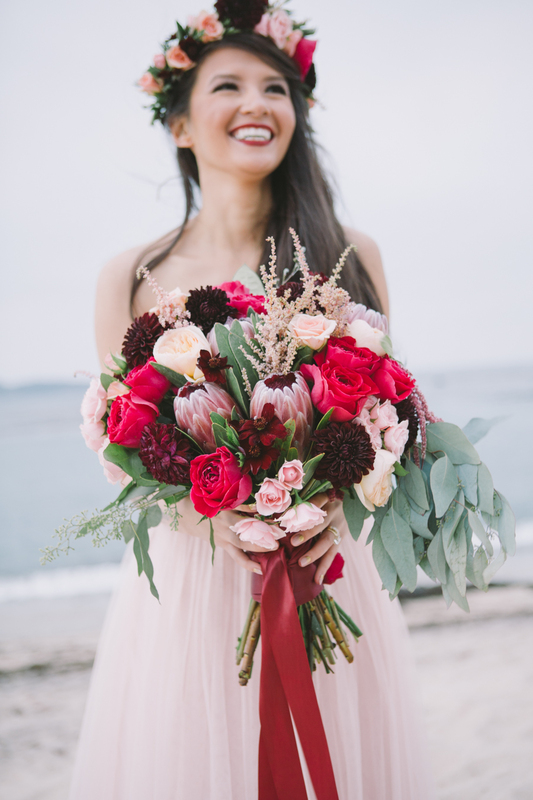 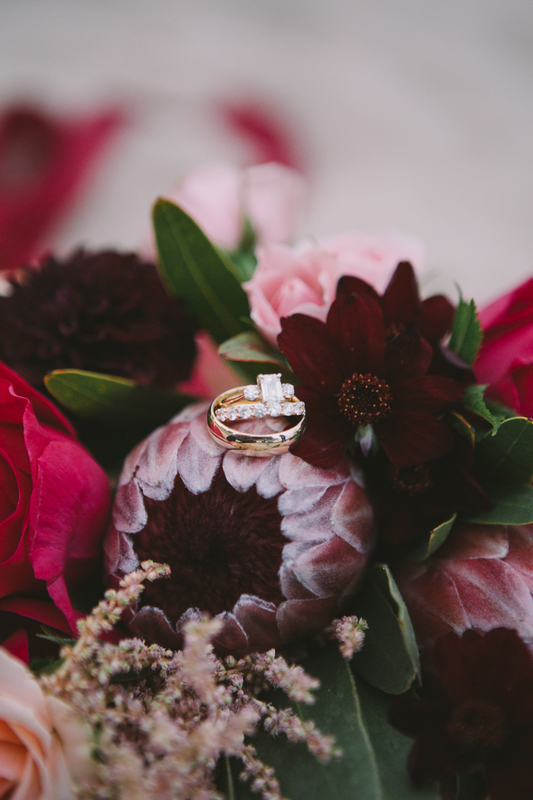 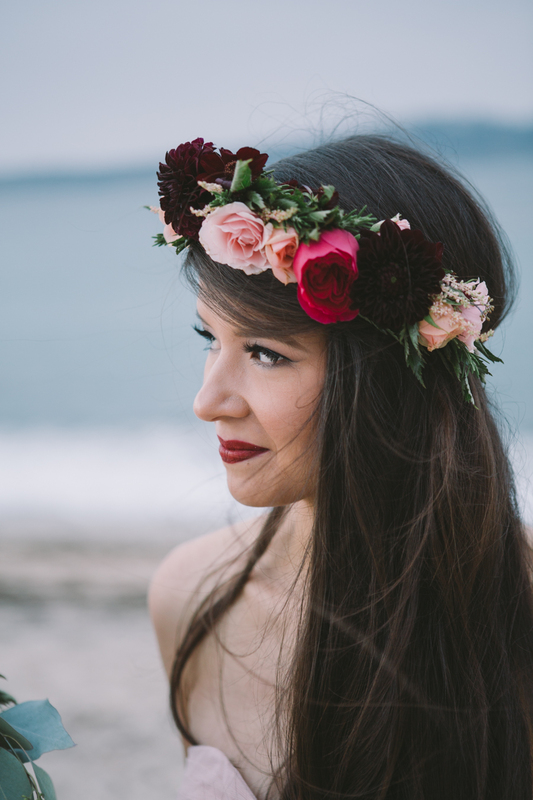 Shades of fushia, burgundy, and blush dotted her bouquet and crown. 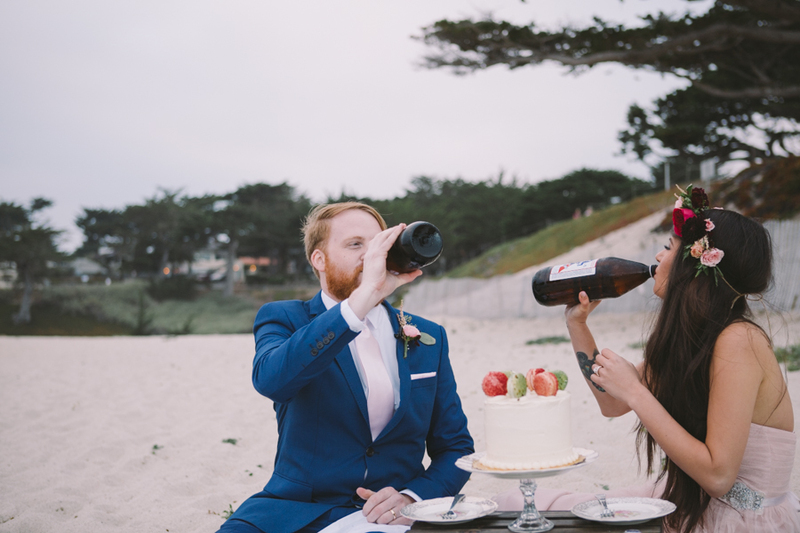 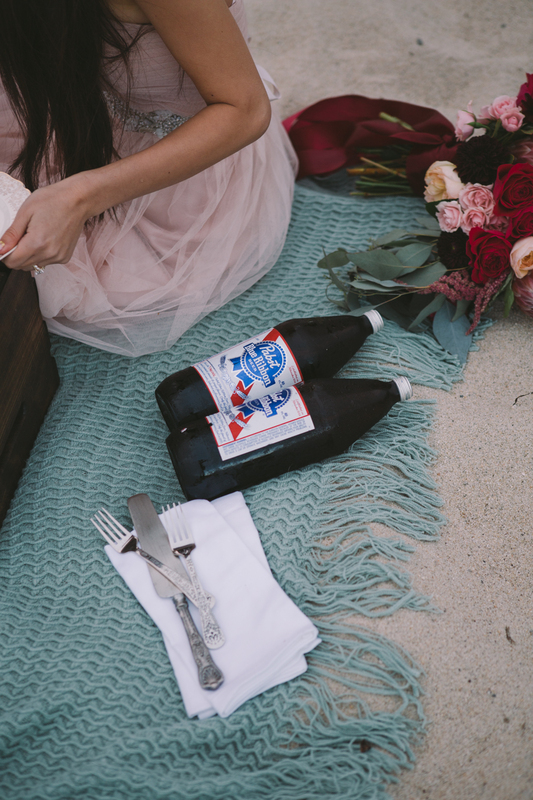 They celebrated with a mini macaroon cake and 40’s of PBR in a nod to the their years together. 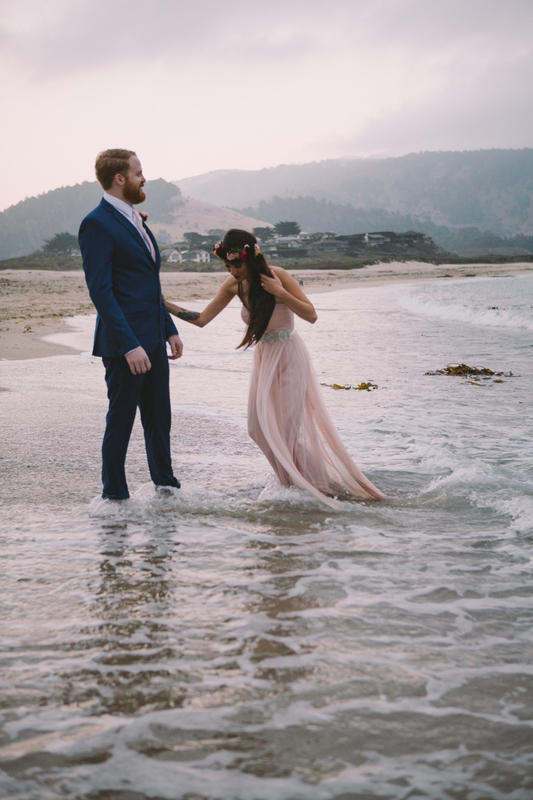 As the sun set and evening approached, the two laughed and walked along the waterline with the wind dancing at their backs.